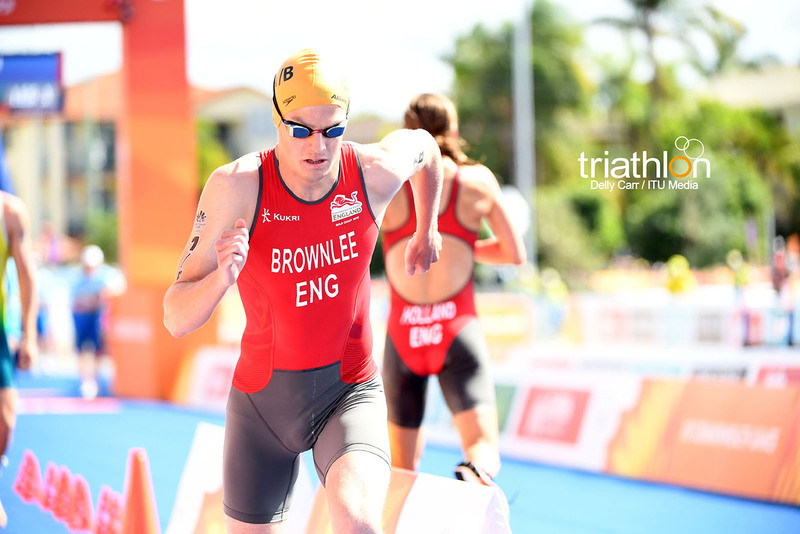 A total of 38 men will compete in the individual men’s race in the Gold Coast, with the younger Brownlee, Jonathan, wearing number 1. 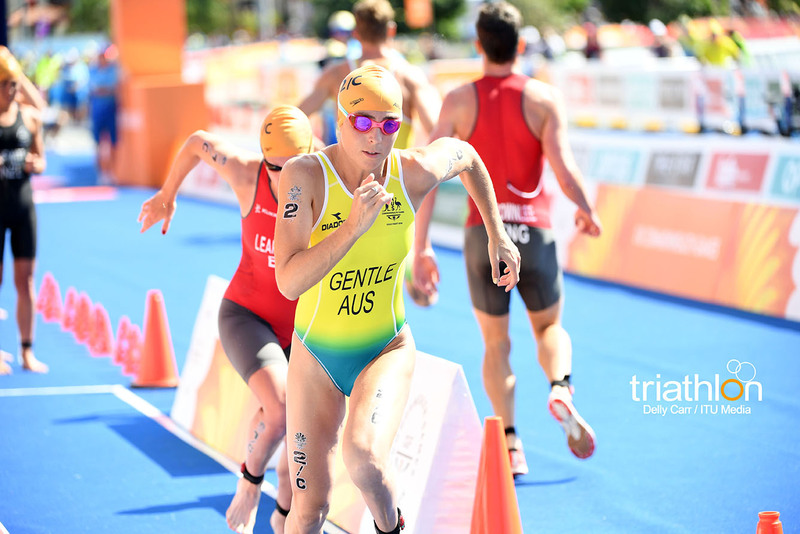 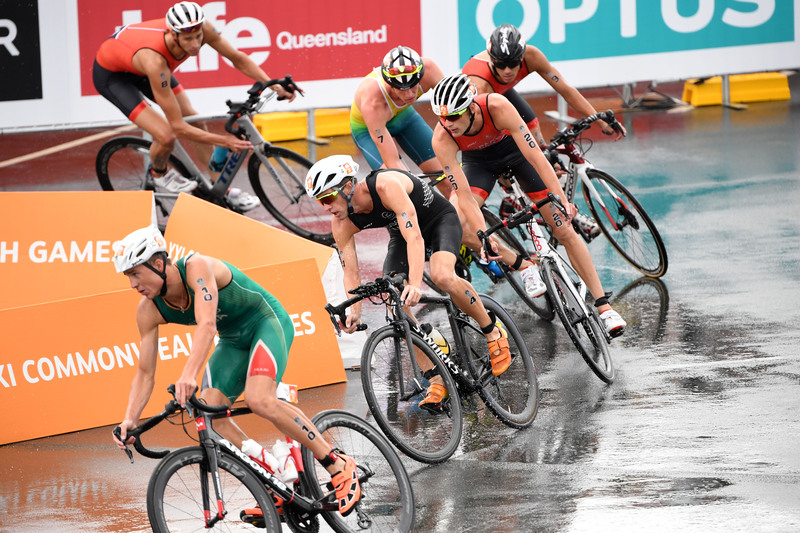 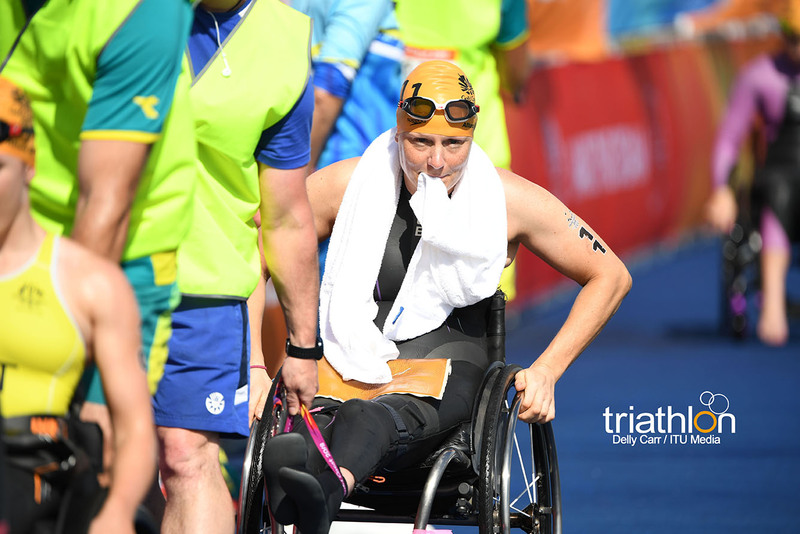 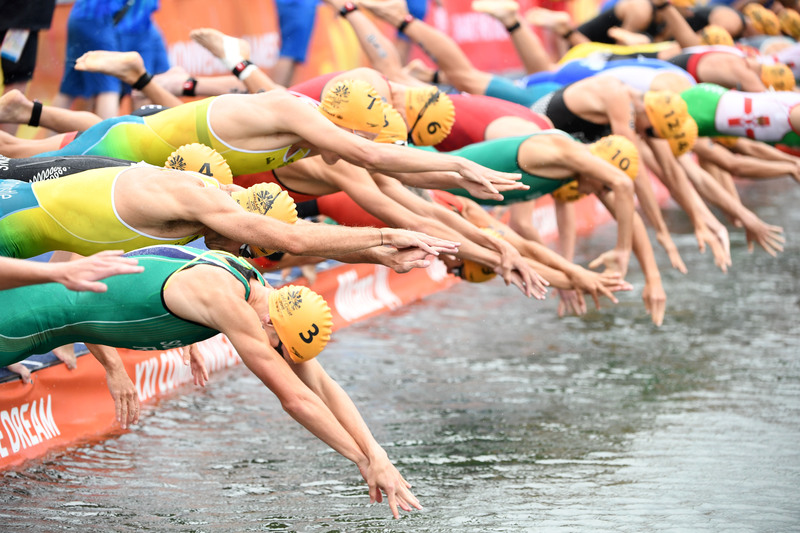 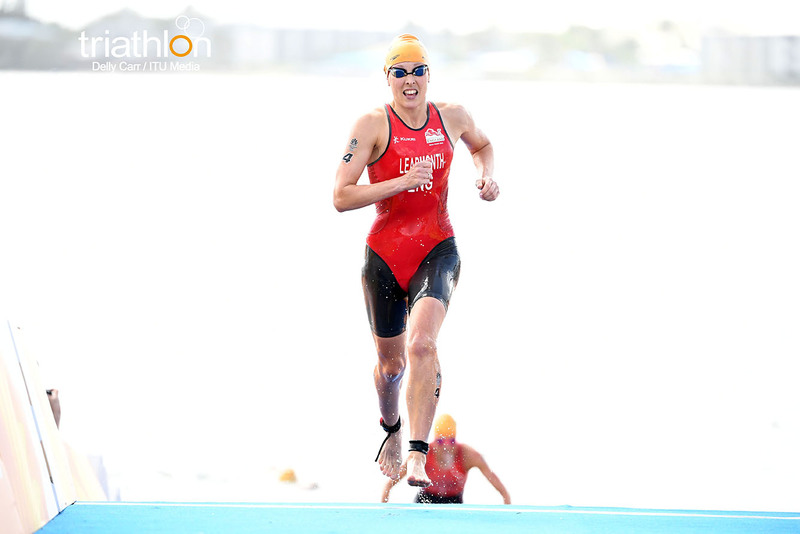 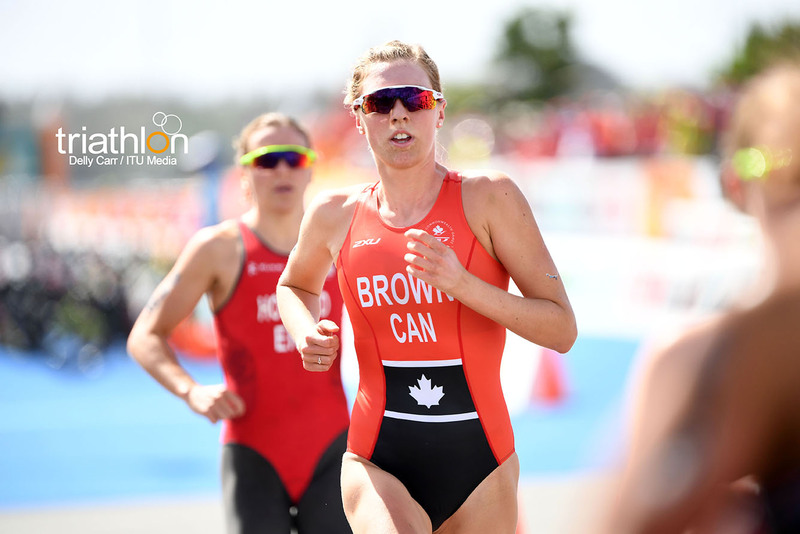 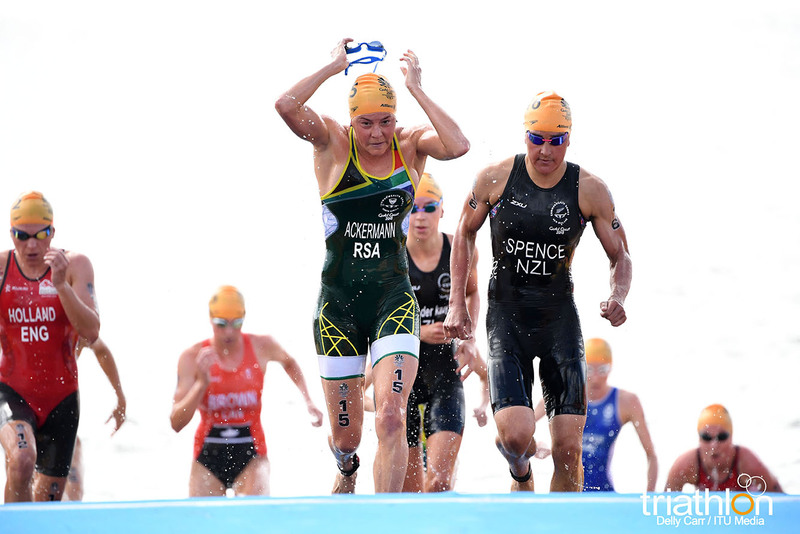 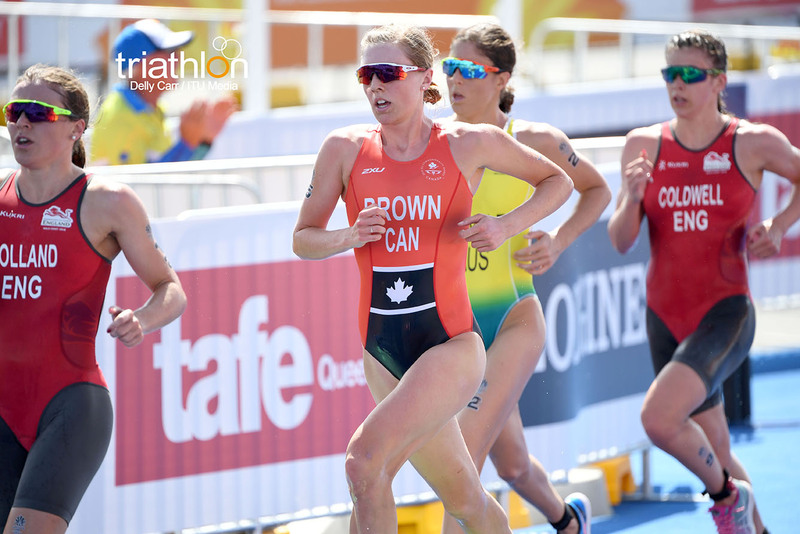 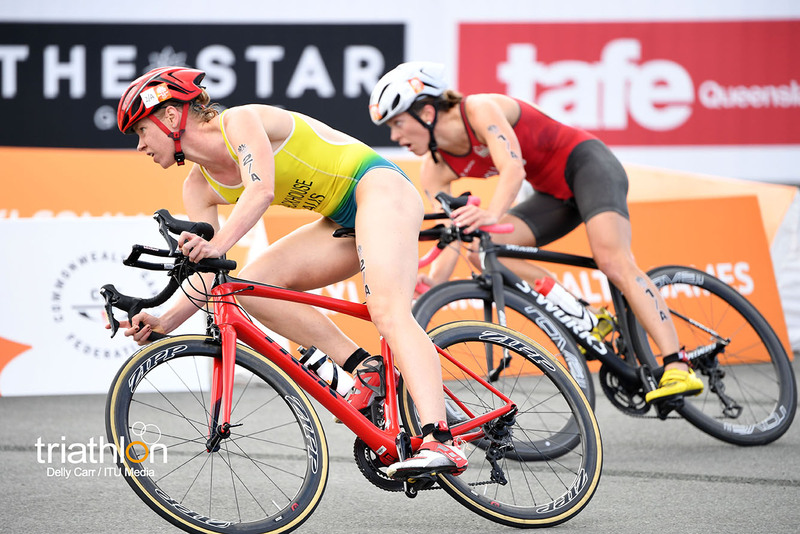 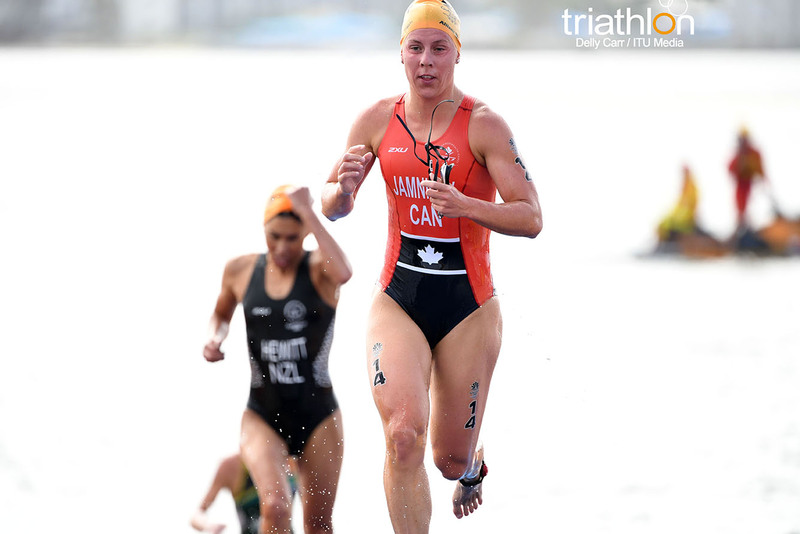 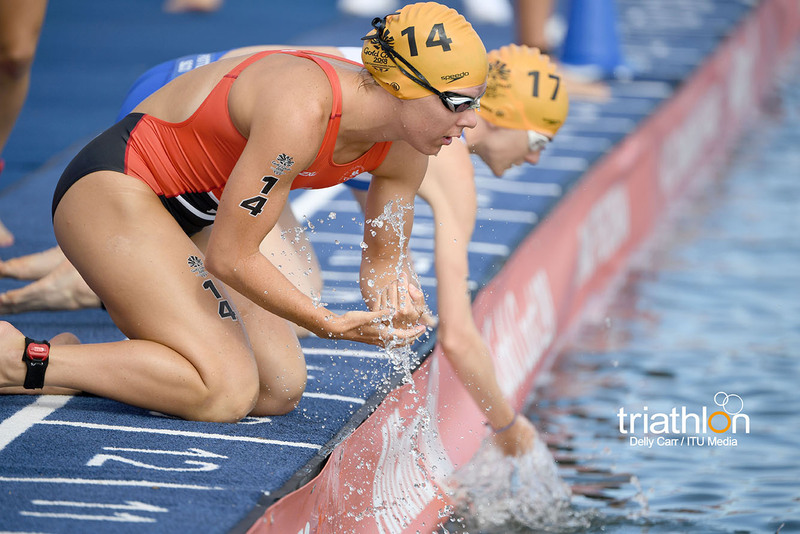 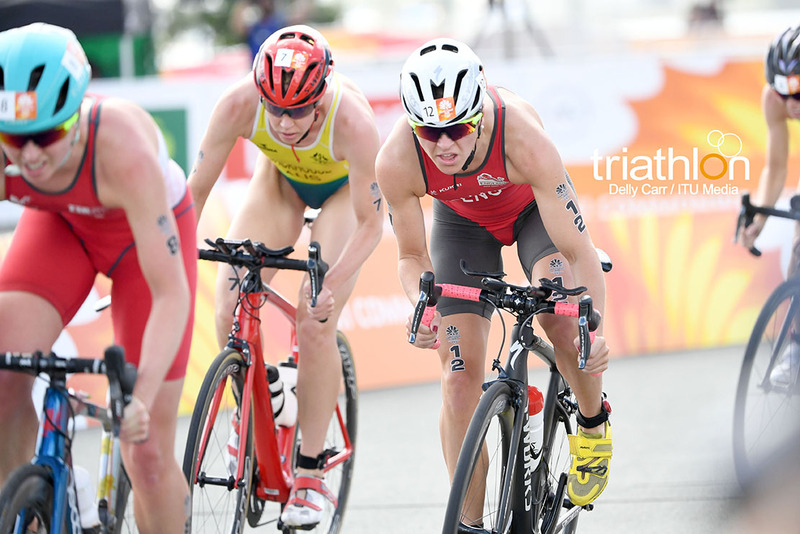 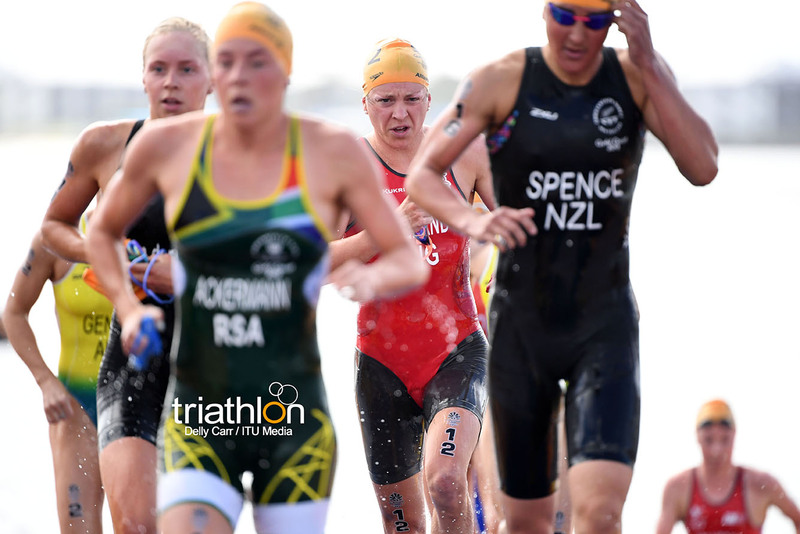 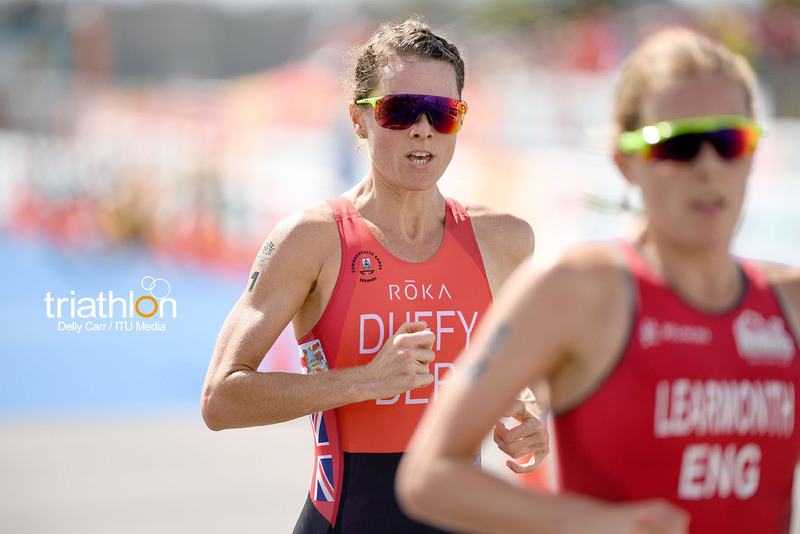 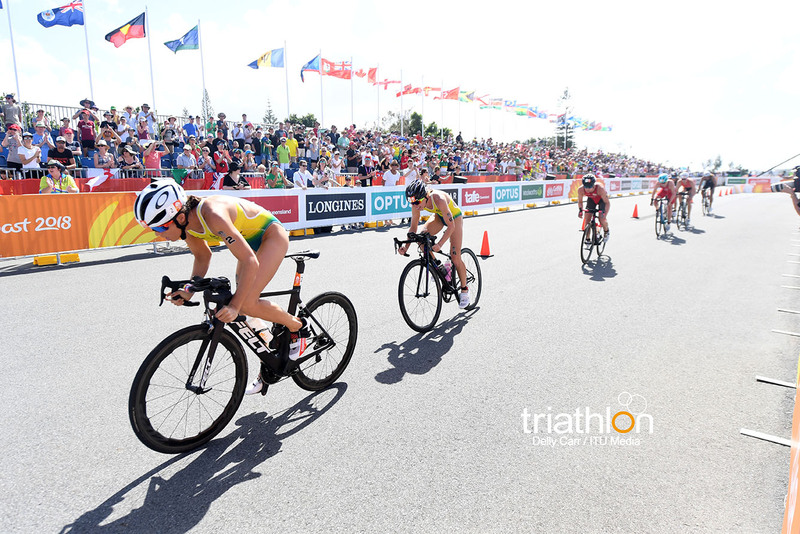 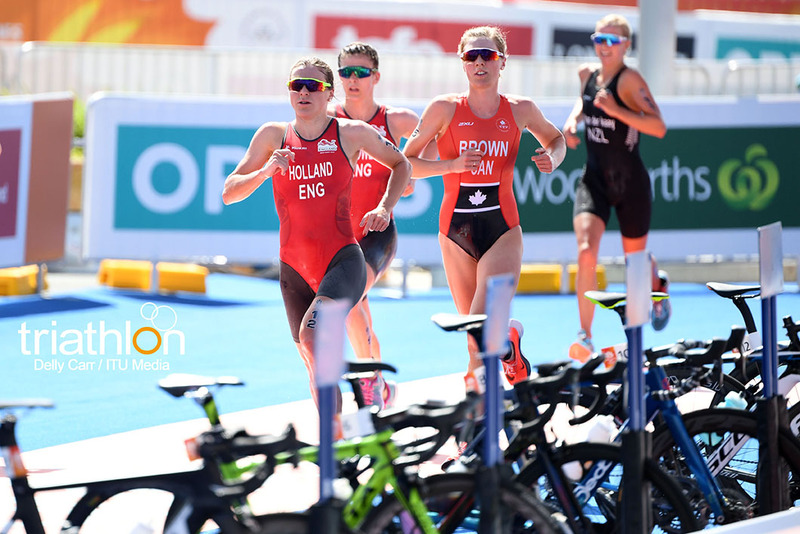 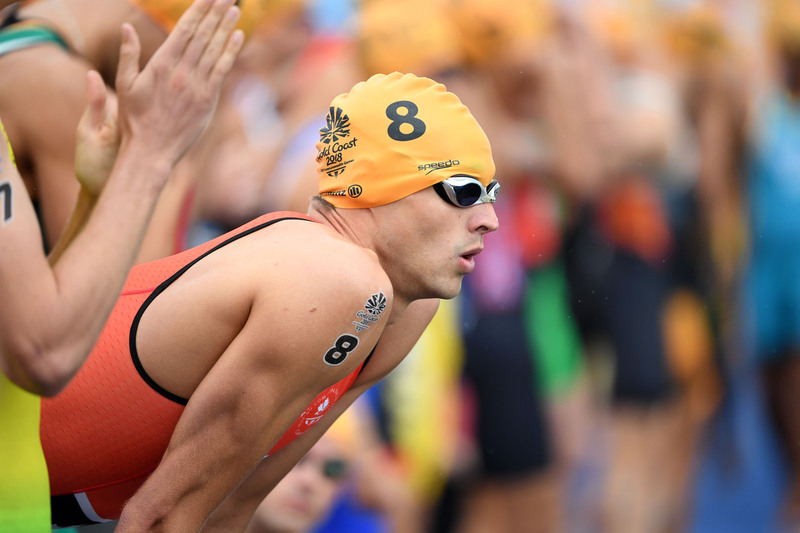 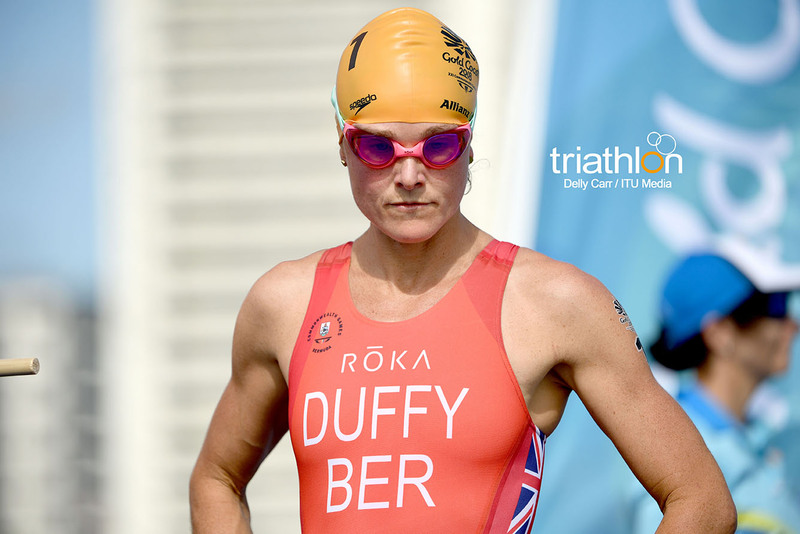 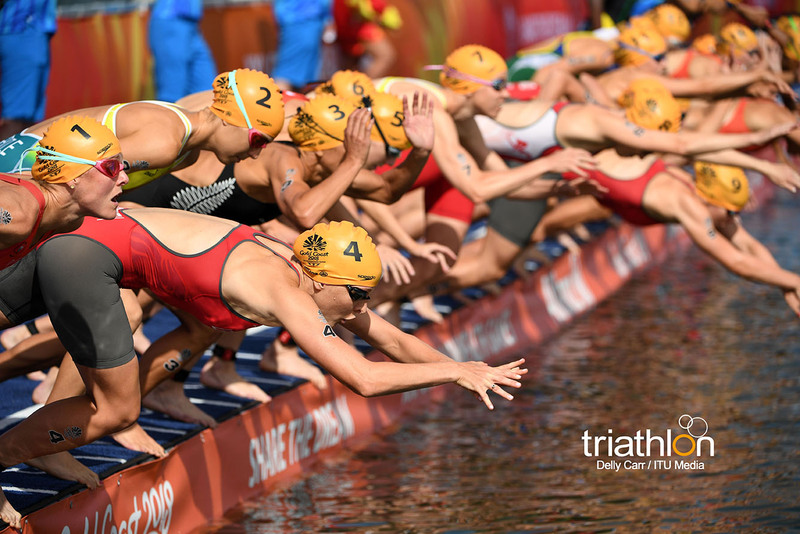 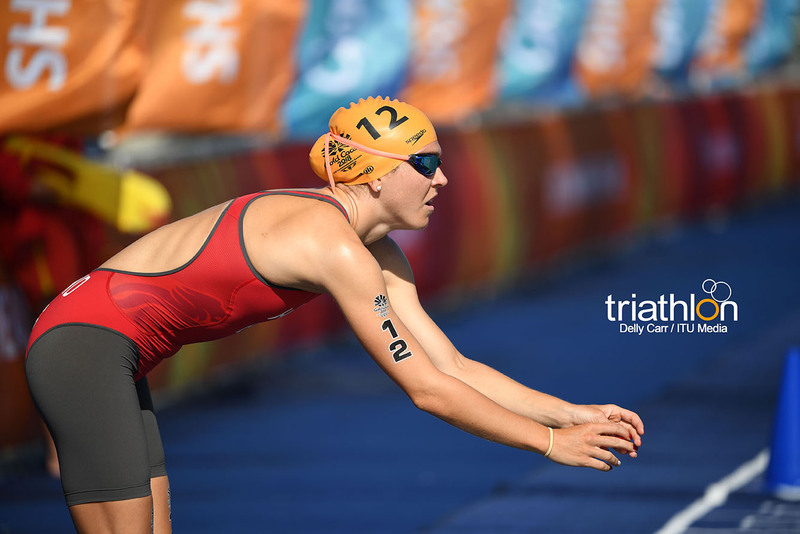 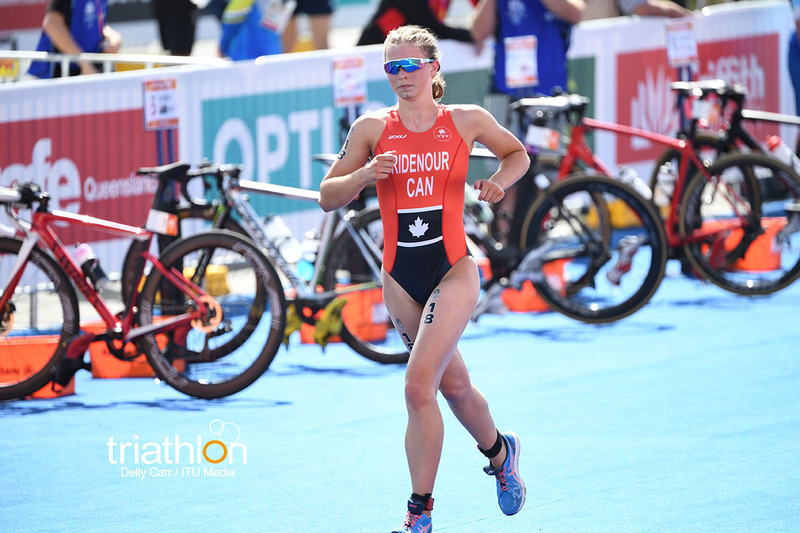 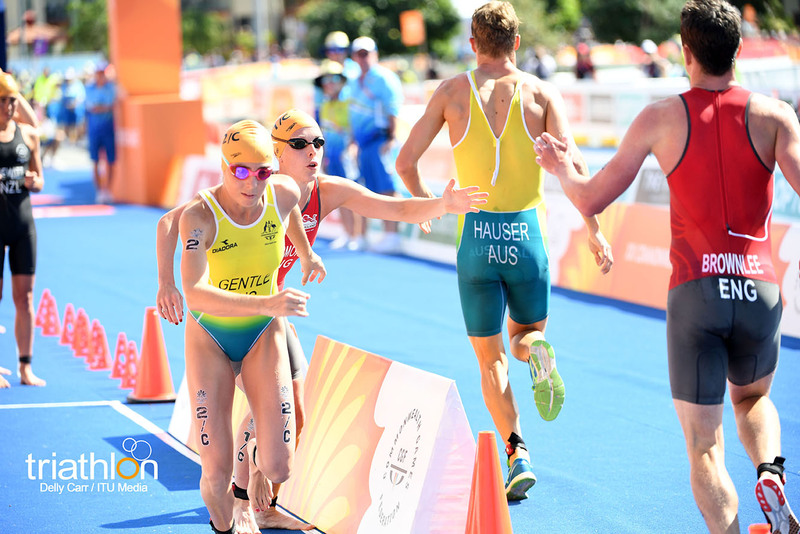 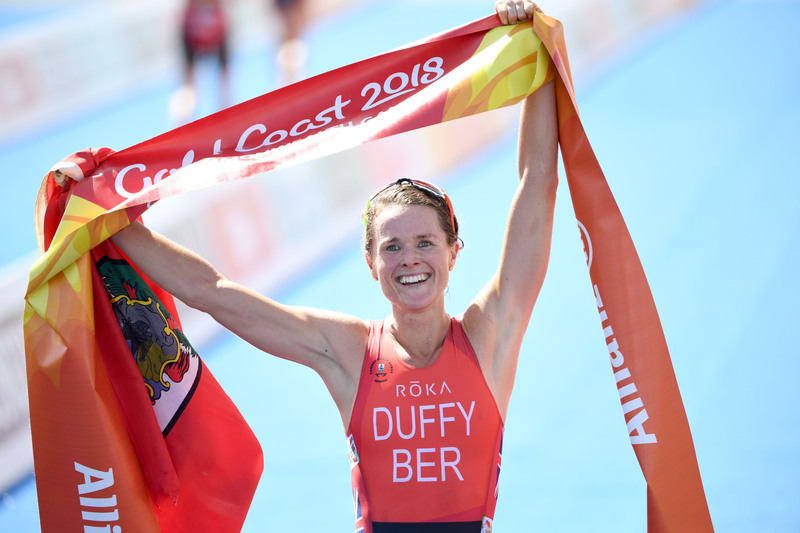 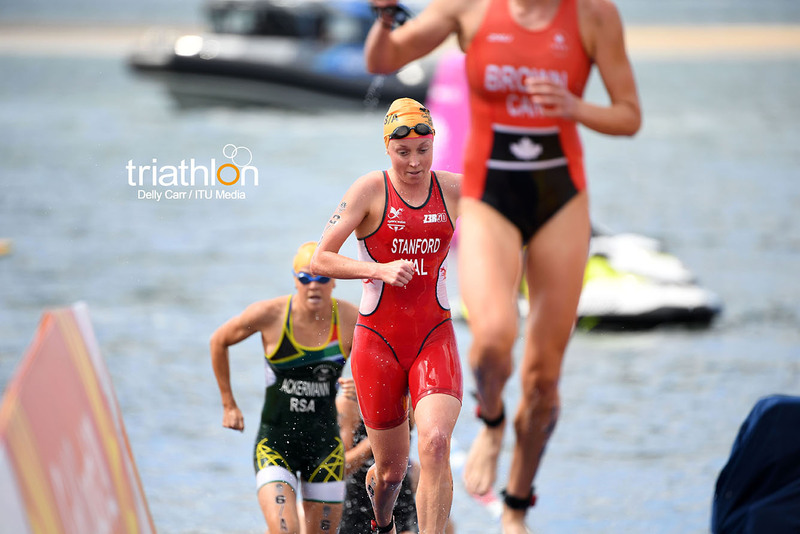 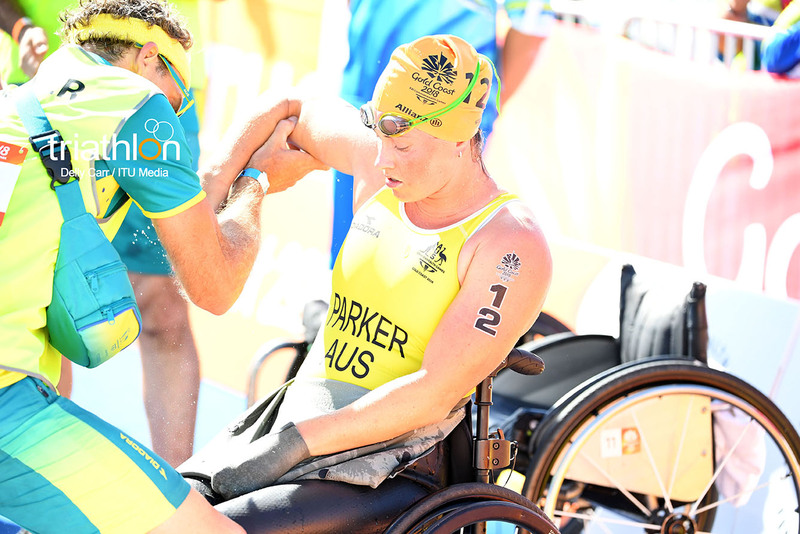 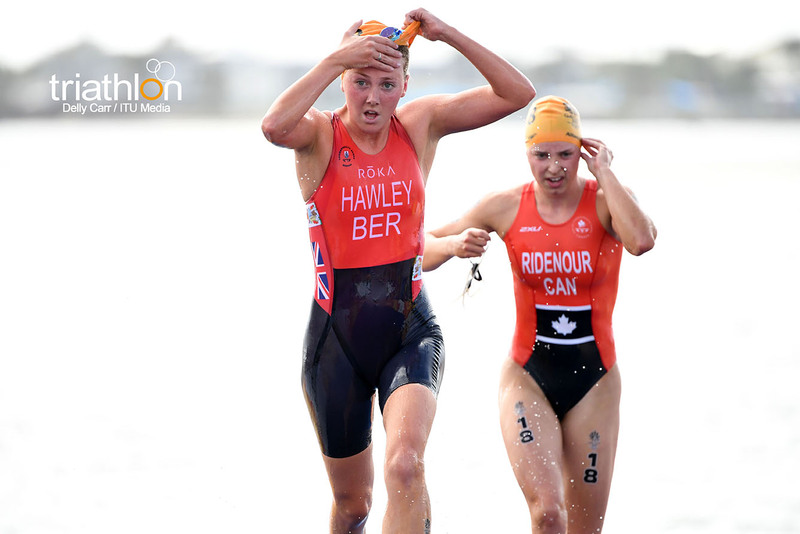 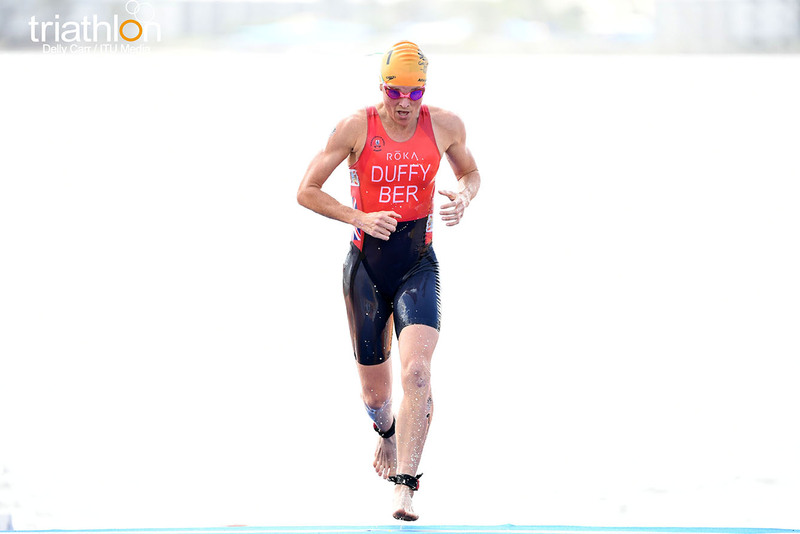 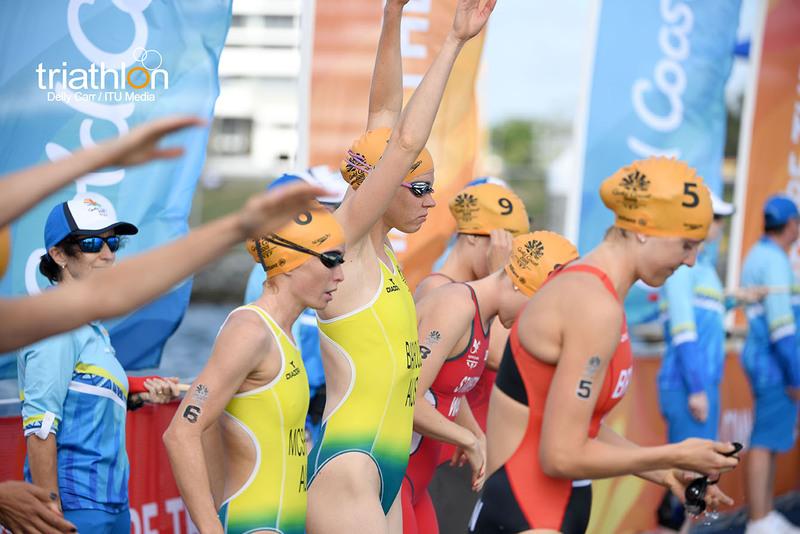 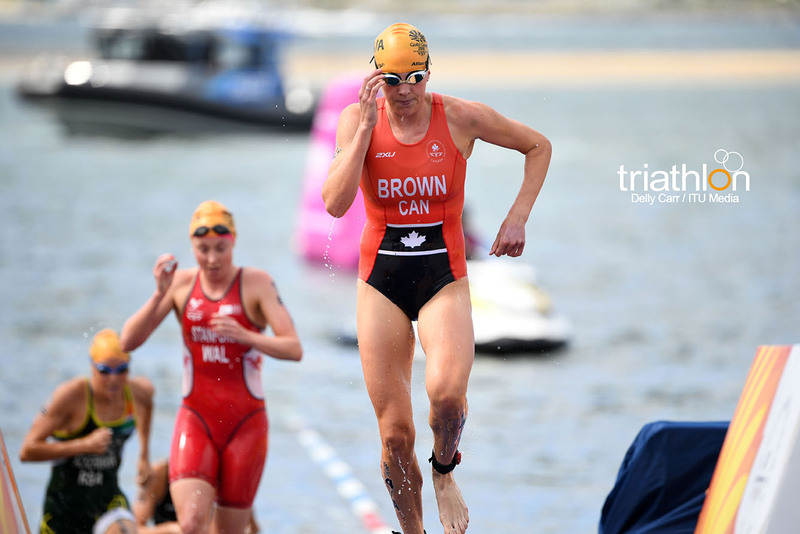 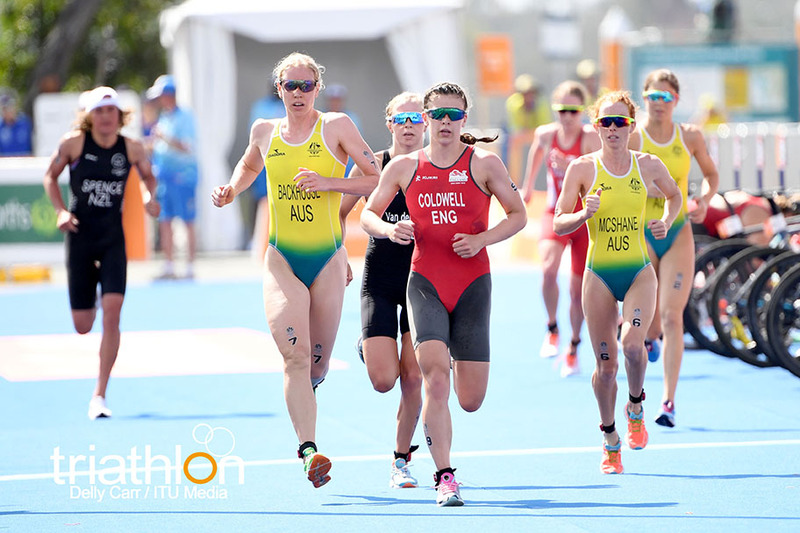 With a start list crowded with Olympic and WTS medallist, expect a fast and furious race set over a 750m swim, a quite technical 20km bike and a 5km run. 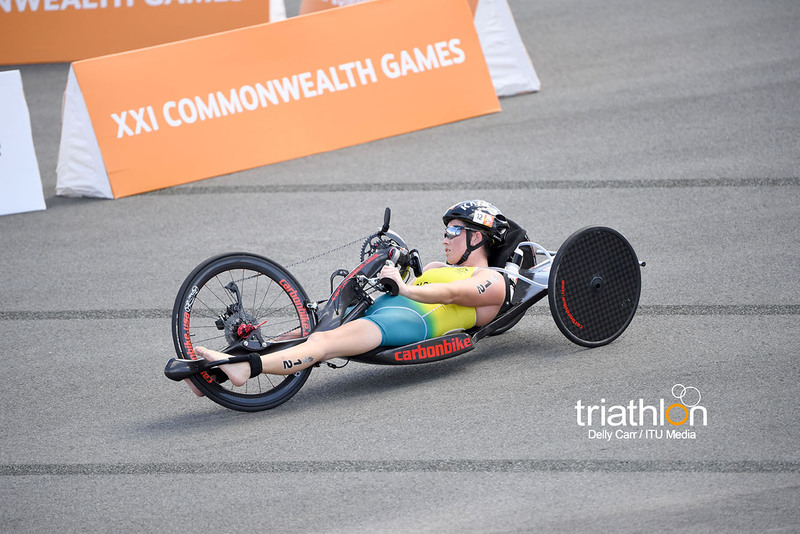 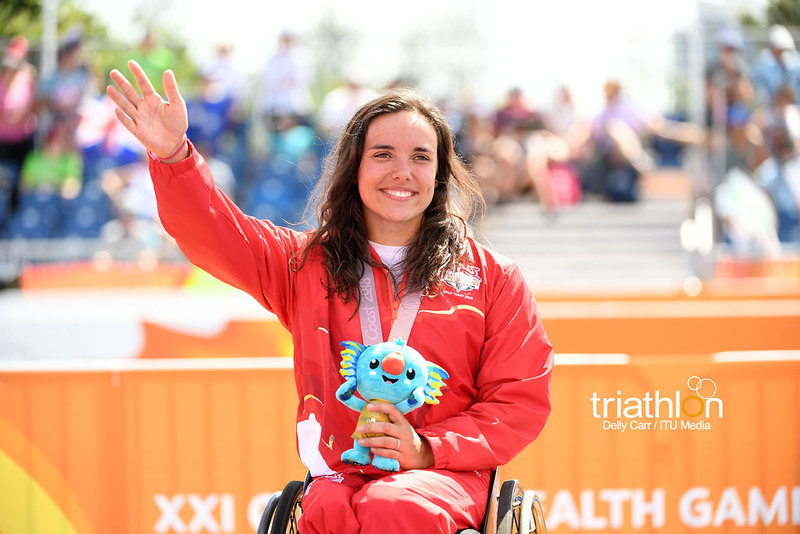 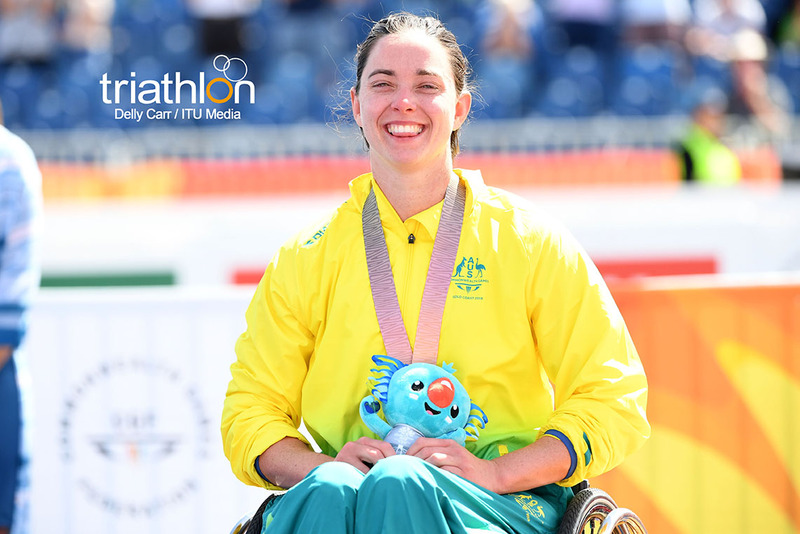 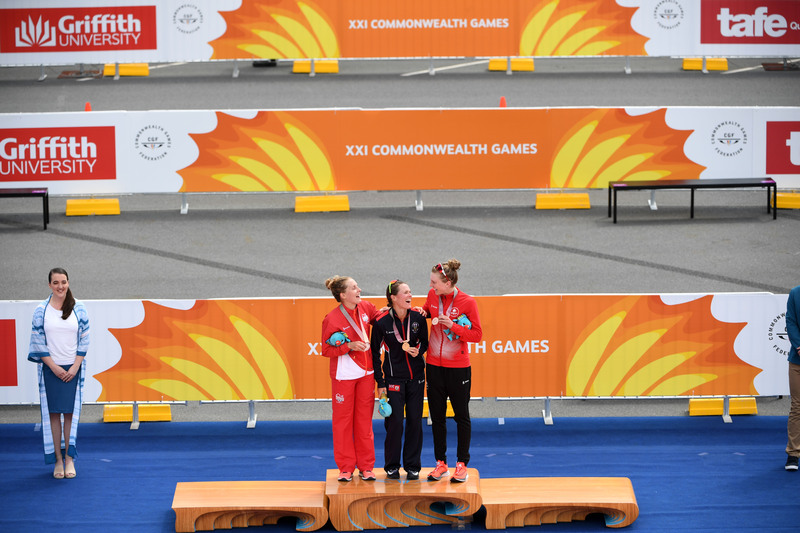 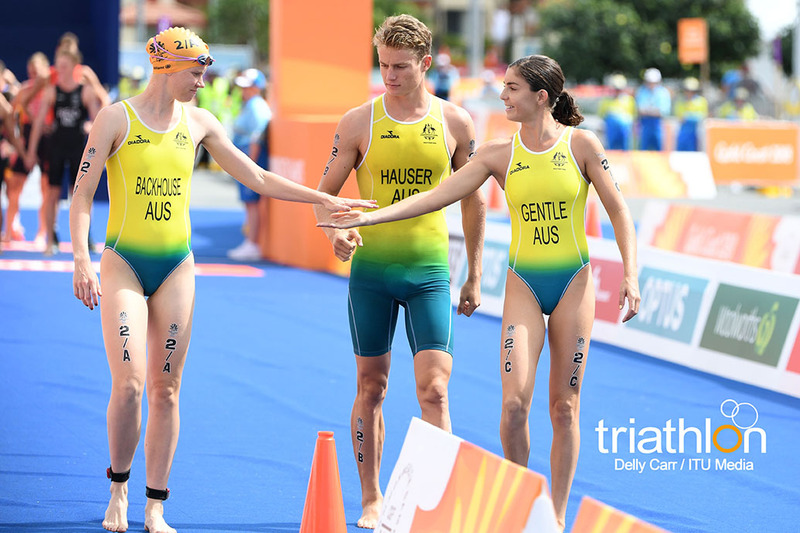 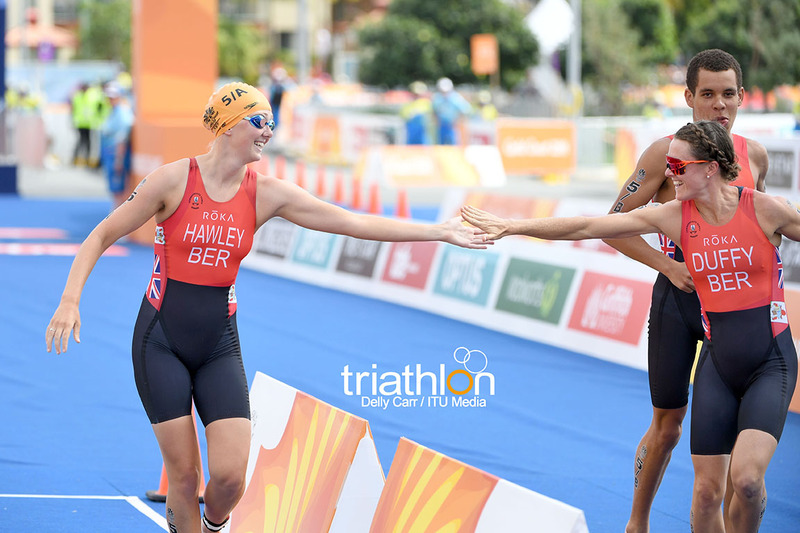 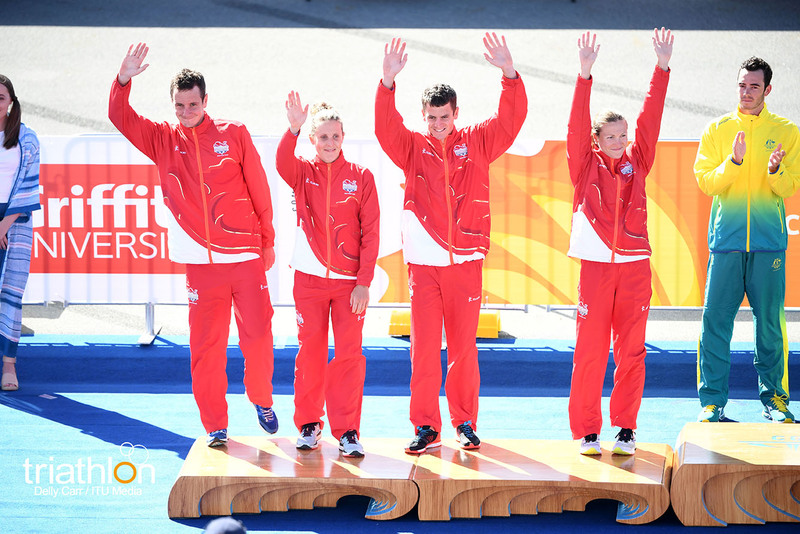 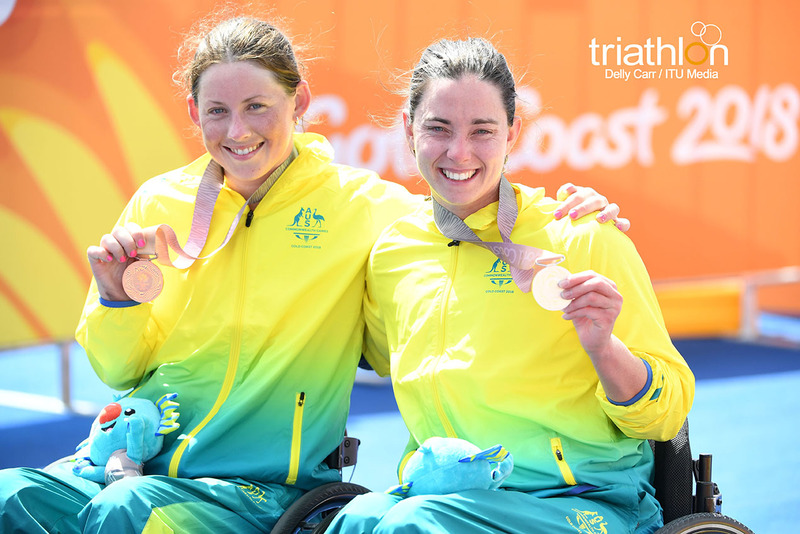 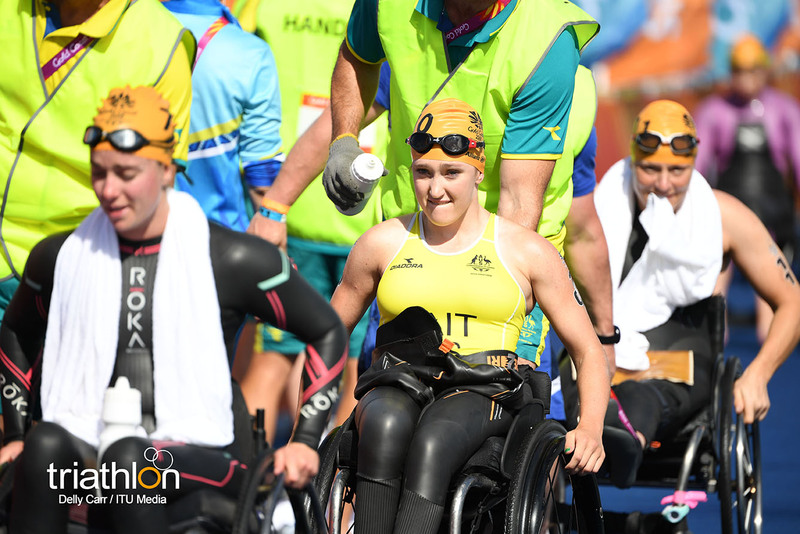 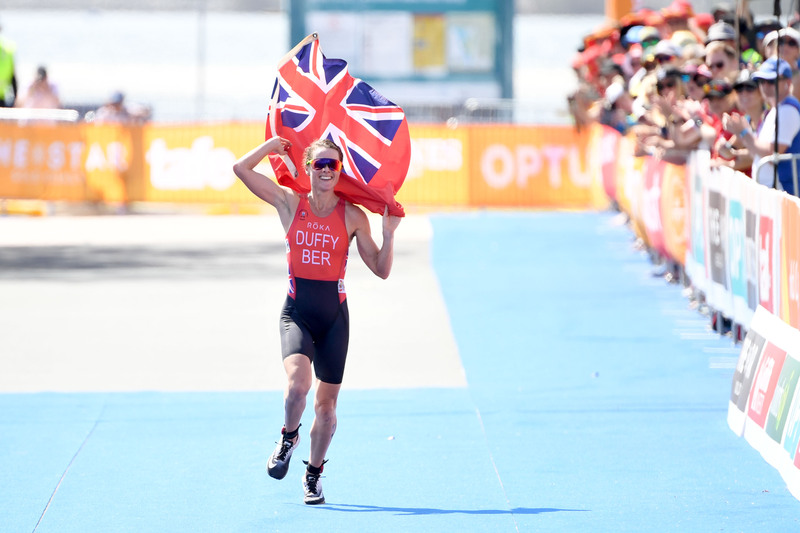 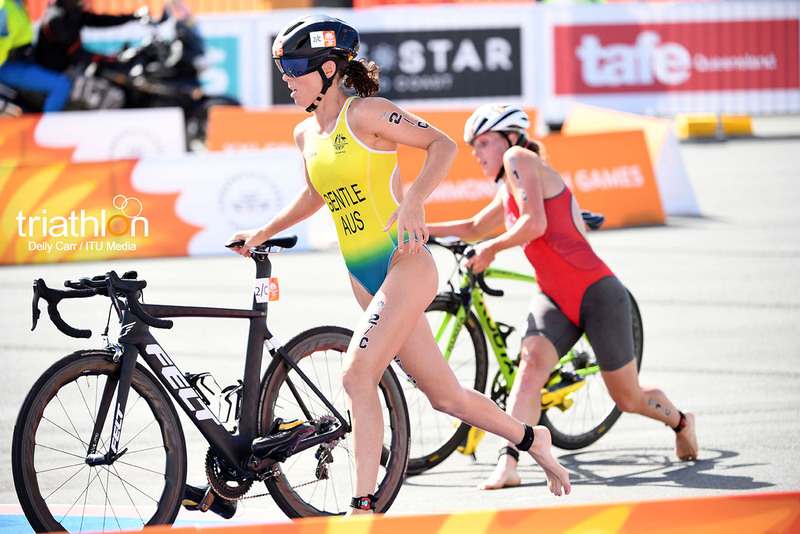 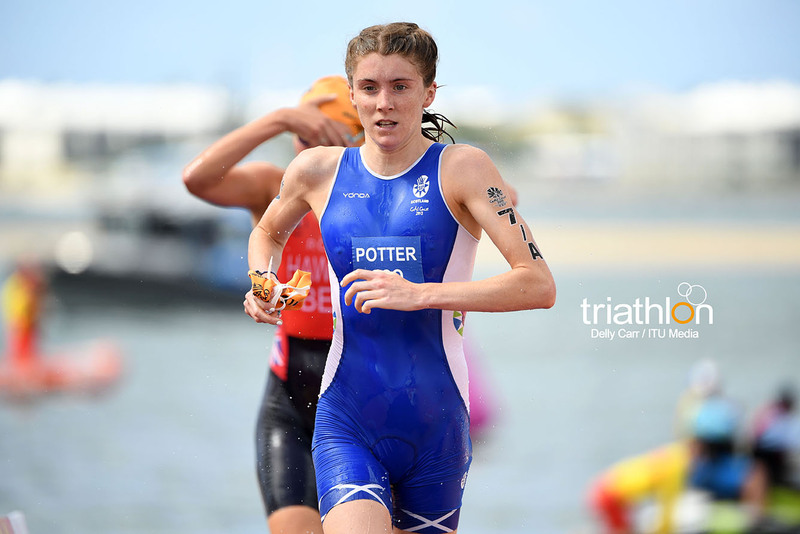 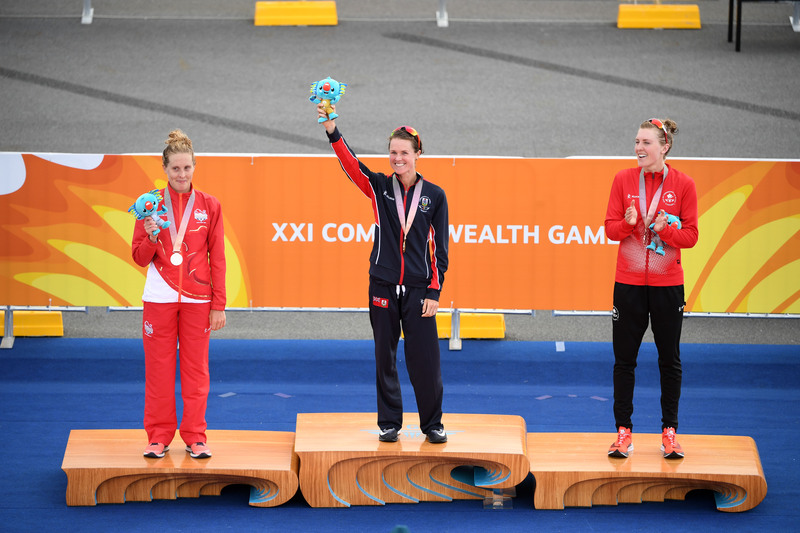 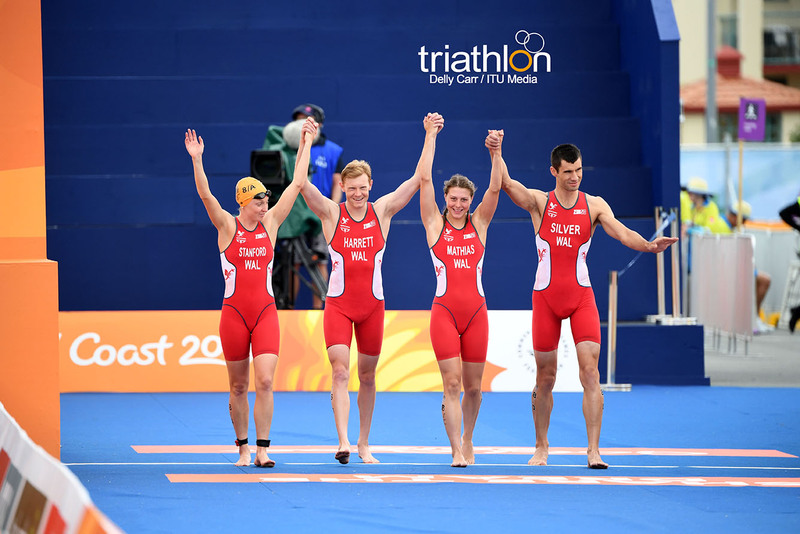 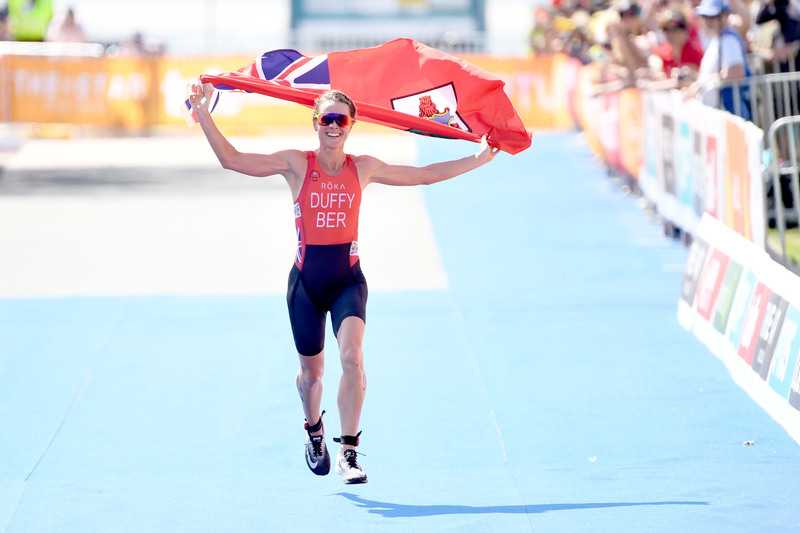 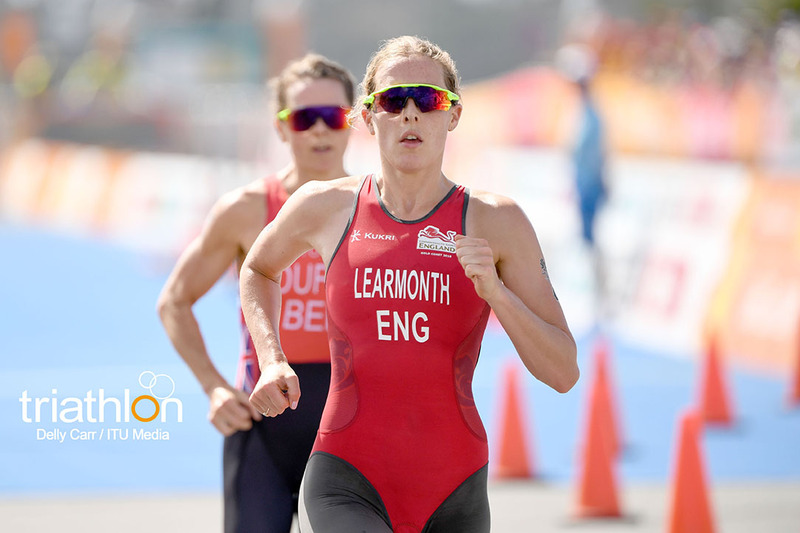 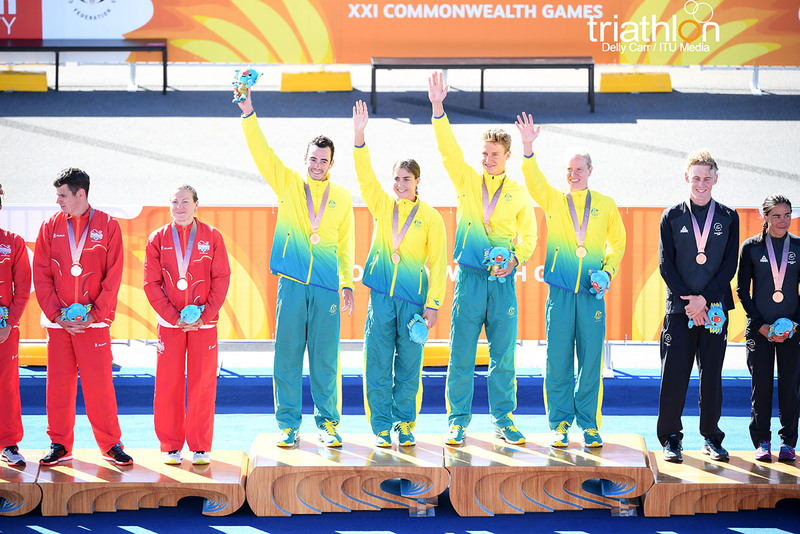 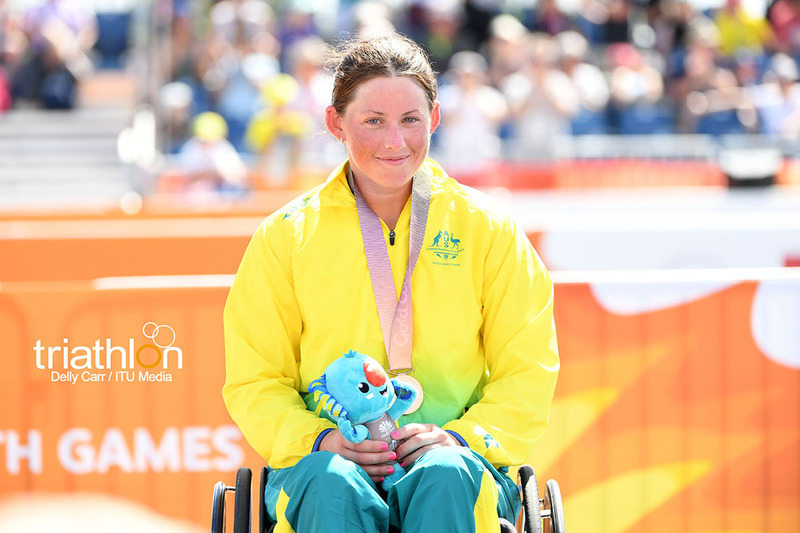 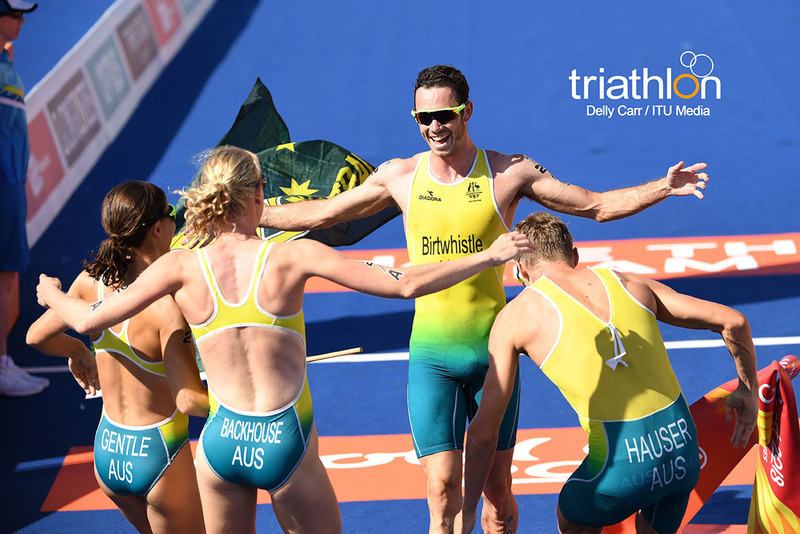 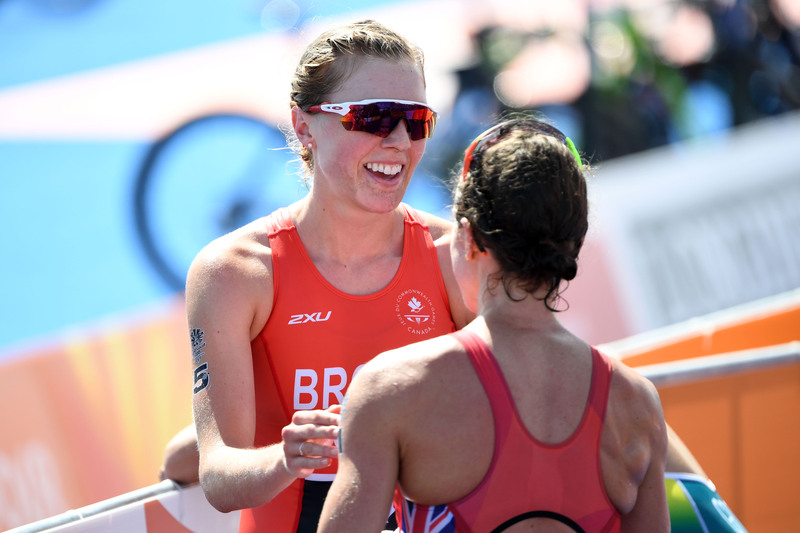 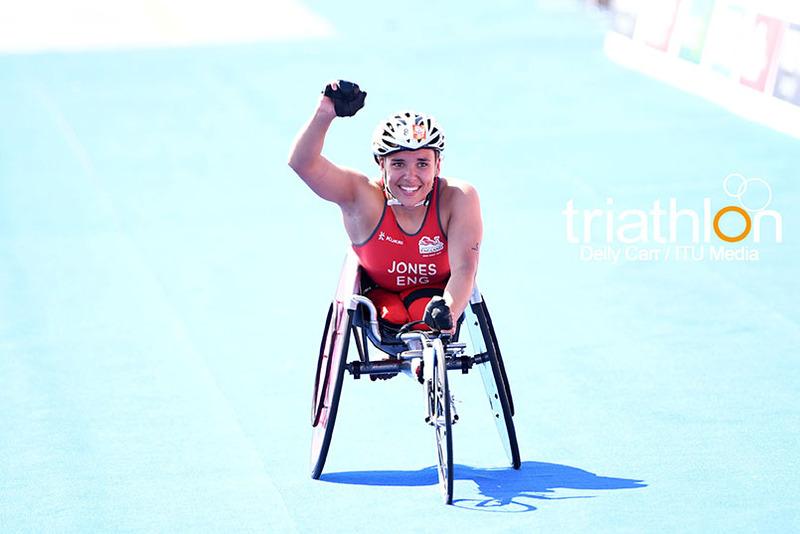 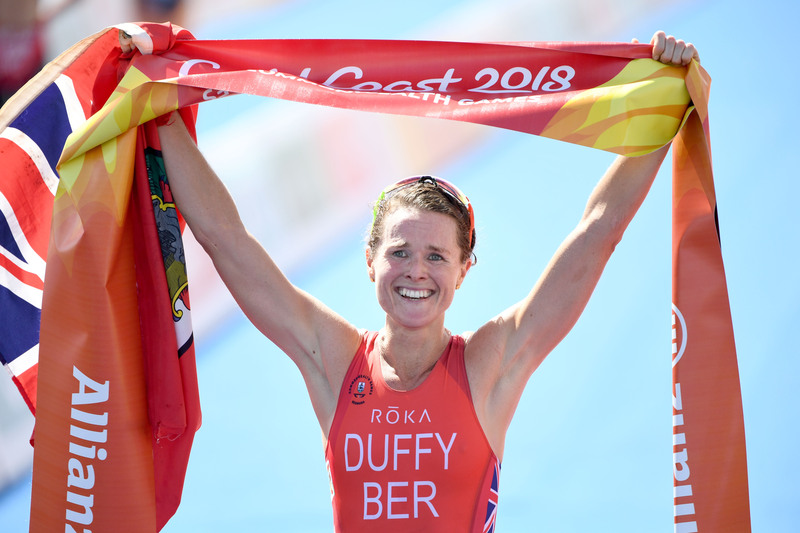 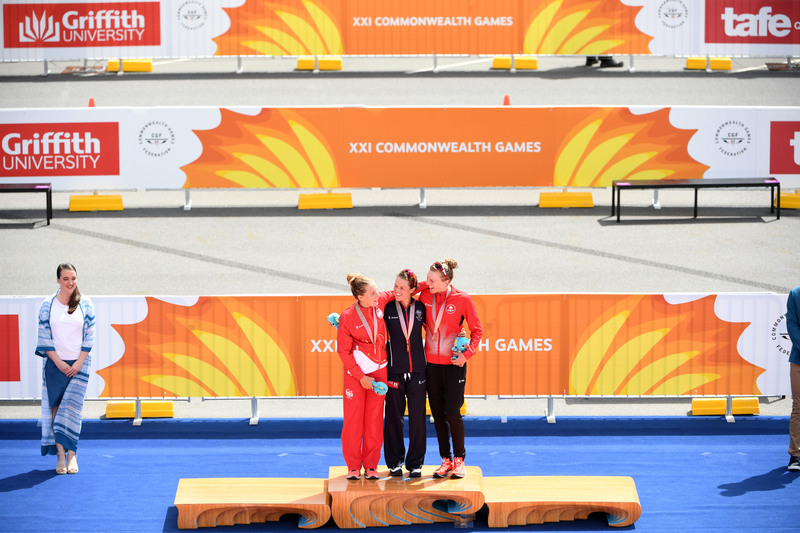 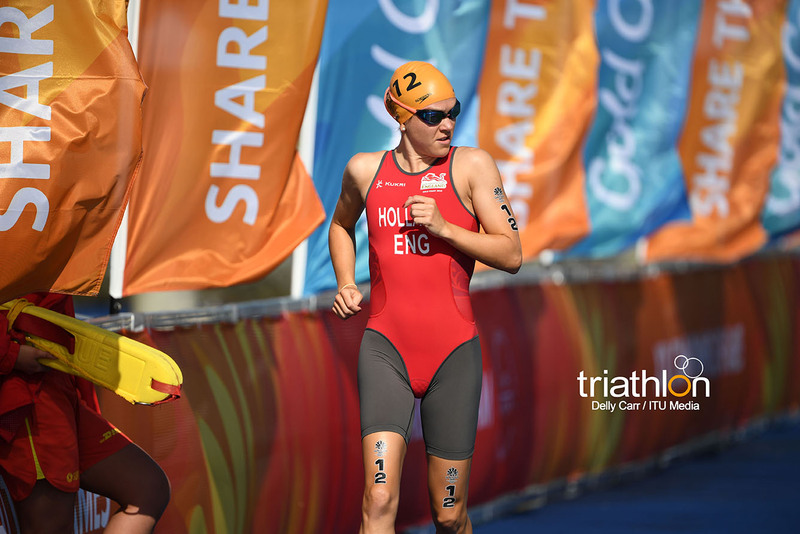 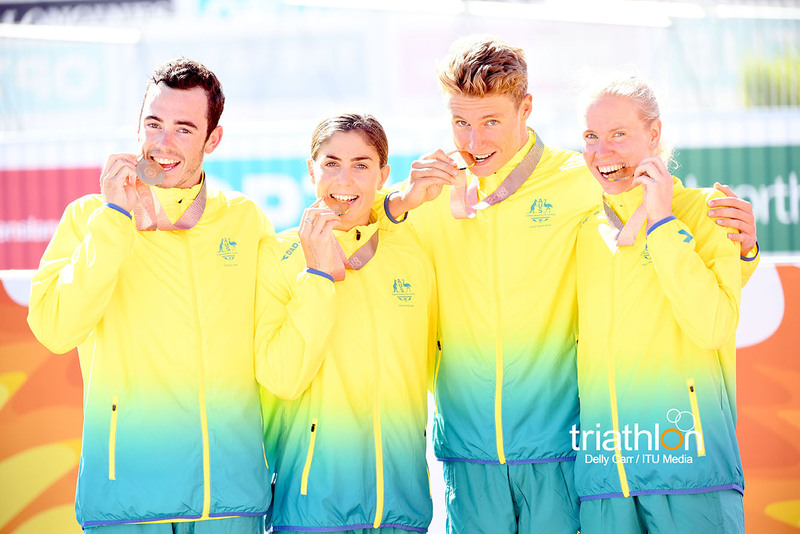 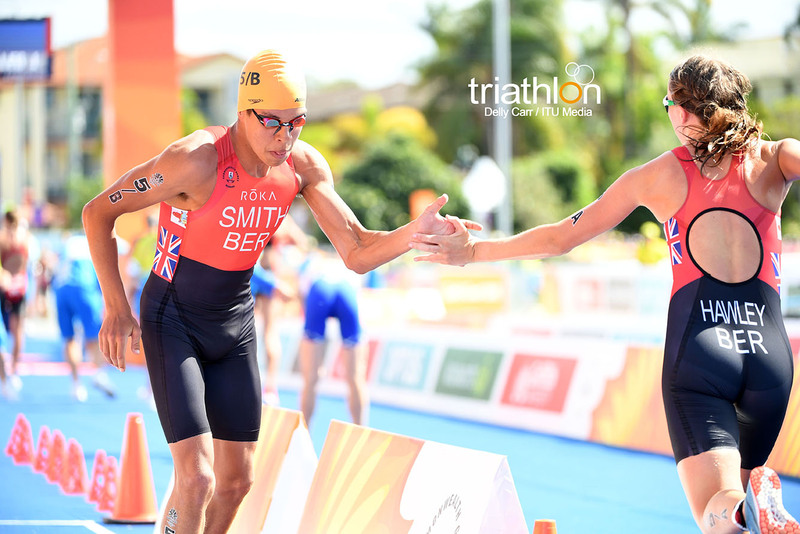 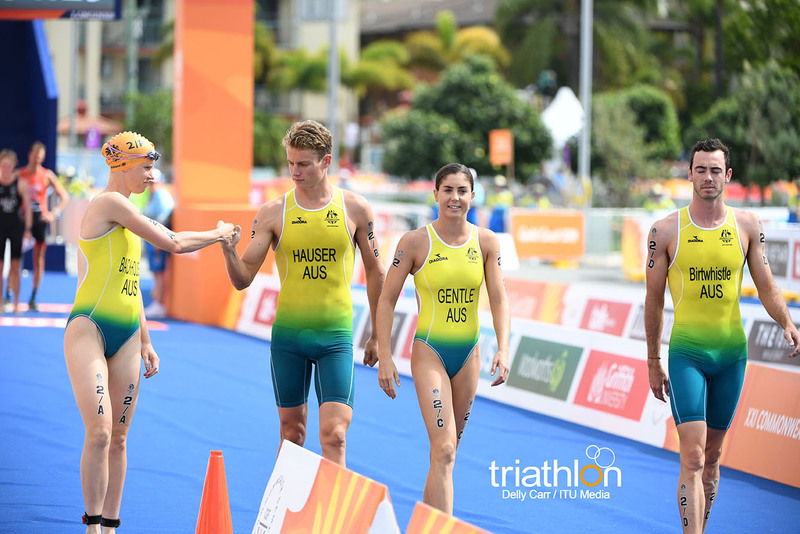 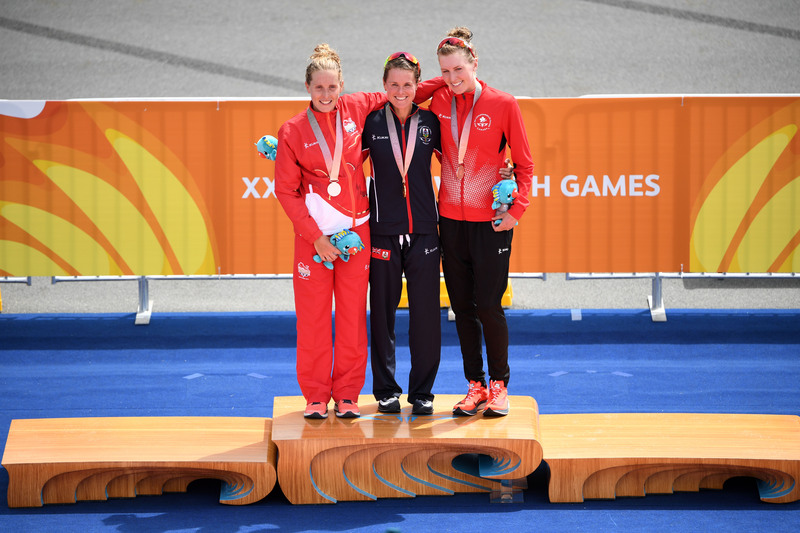 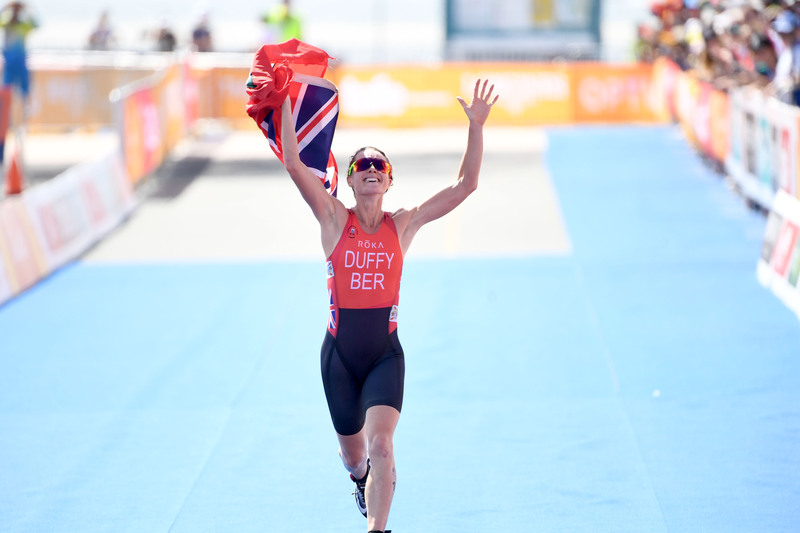 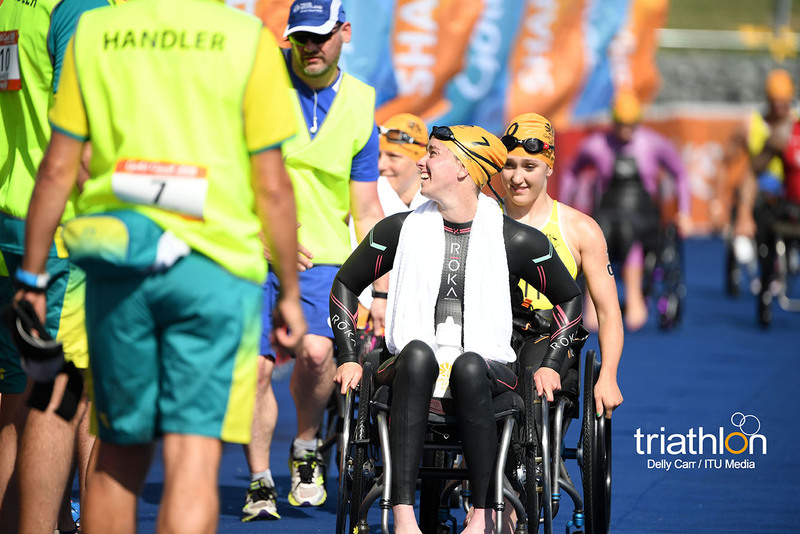 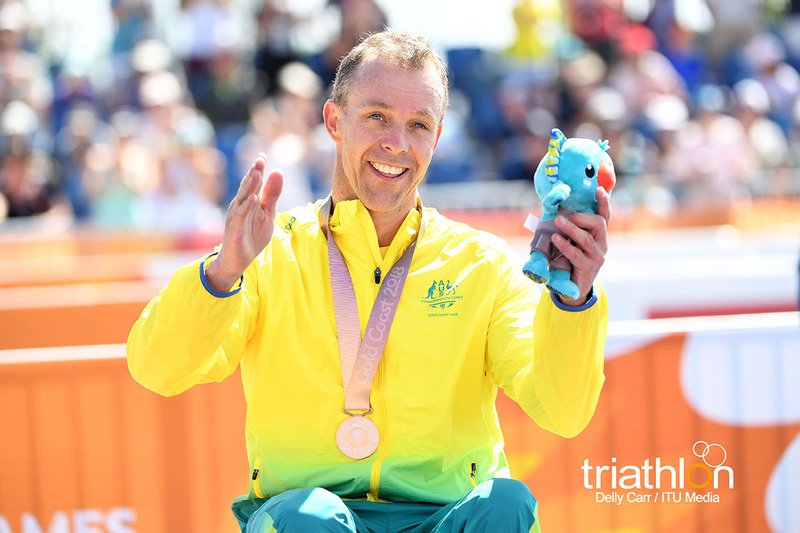 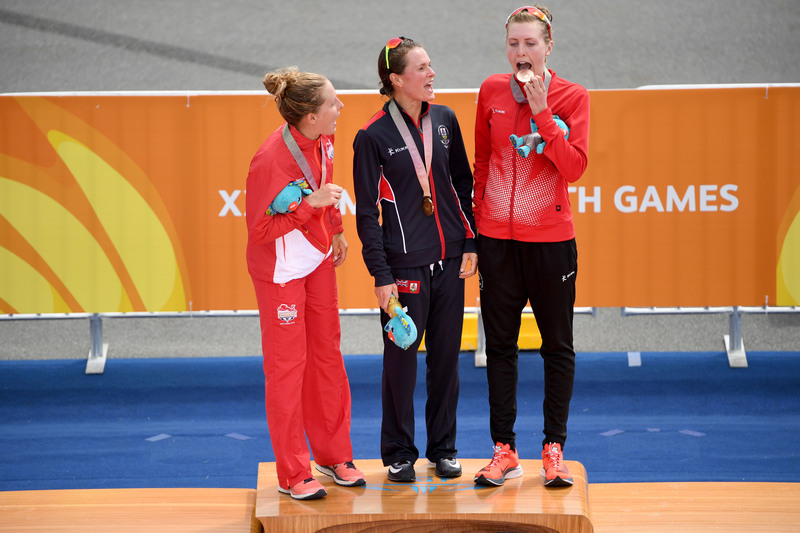 The Commonwealth Games will be the first time since WTS Leeds 2017 where we will see the two Olympic medallist siblings competing together, and they have quite a record of getting to the podium while joining efforts during a race. 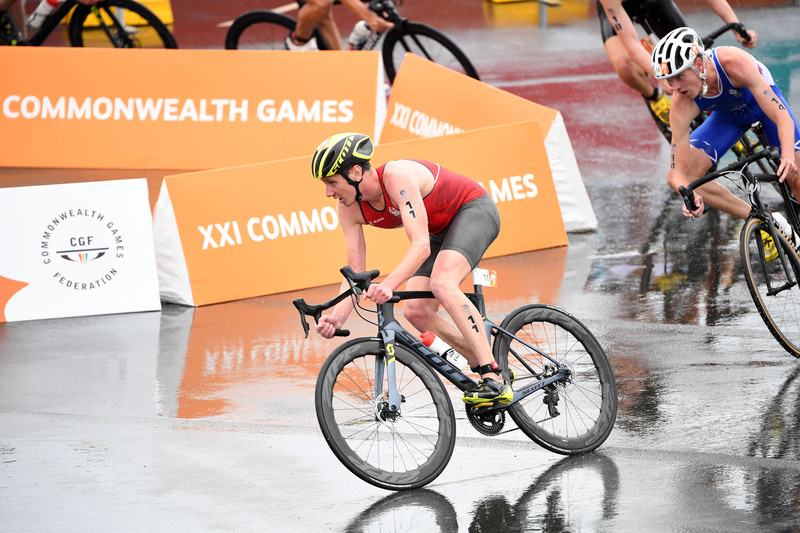 Alistair and Jonny claimed first and second place in WTS Leeds 2017 and 2016, as they did in the Rio Olympic Games and in the previous Commonwealth Games, in Glasgow 2014. 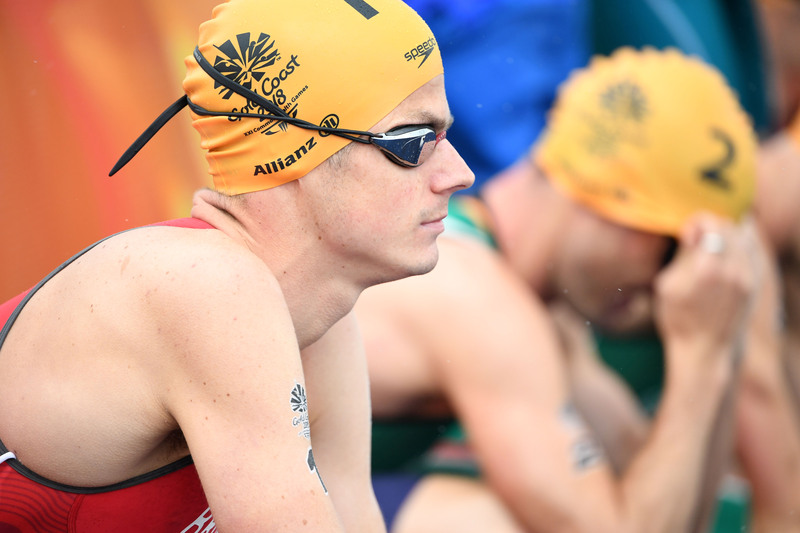 Both brothers have been training in Australia for a few weeks, preparing for this race. 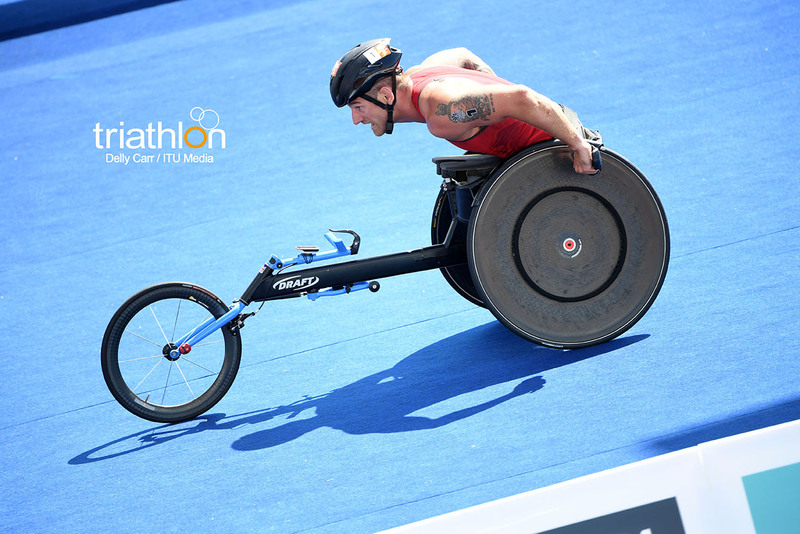 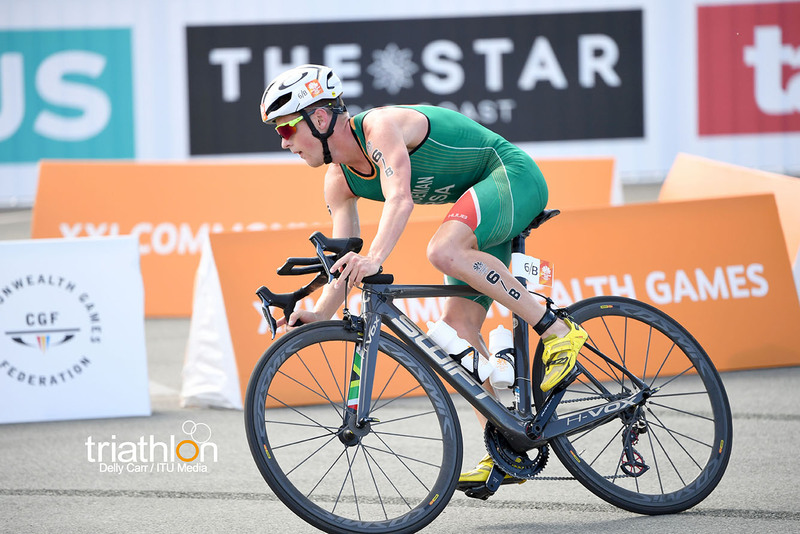 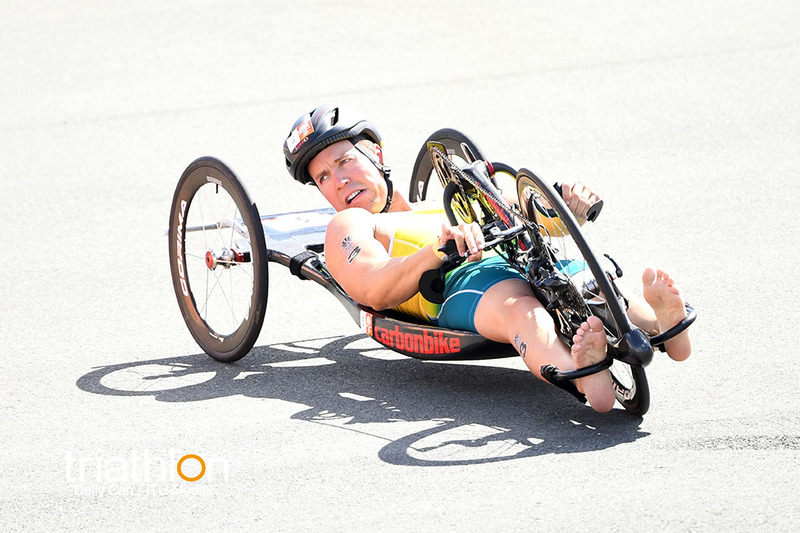 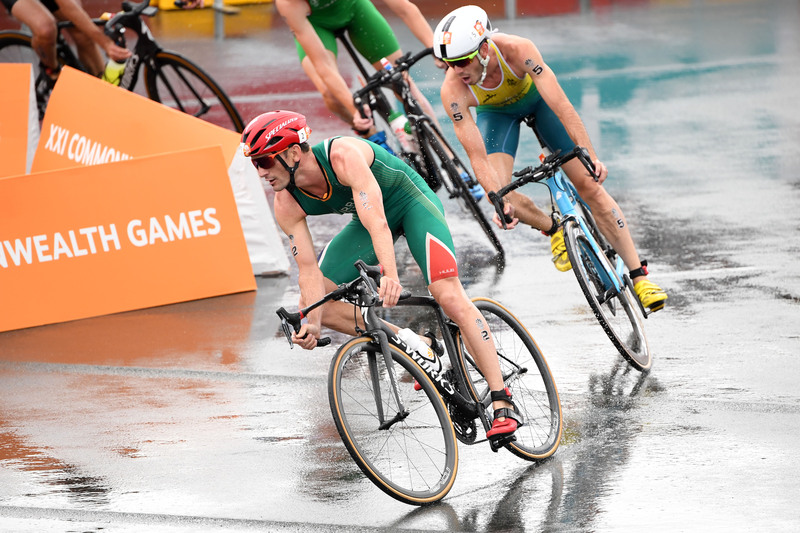 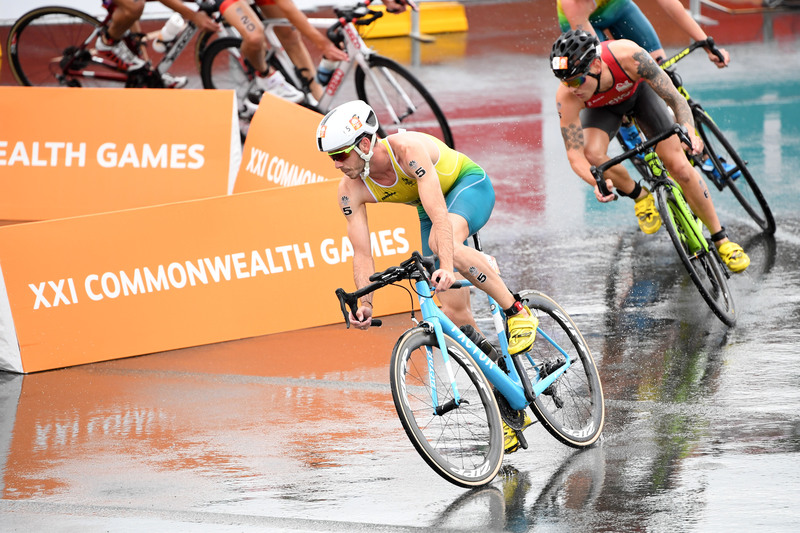 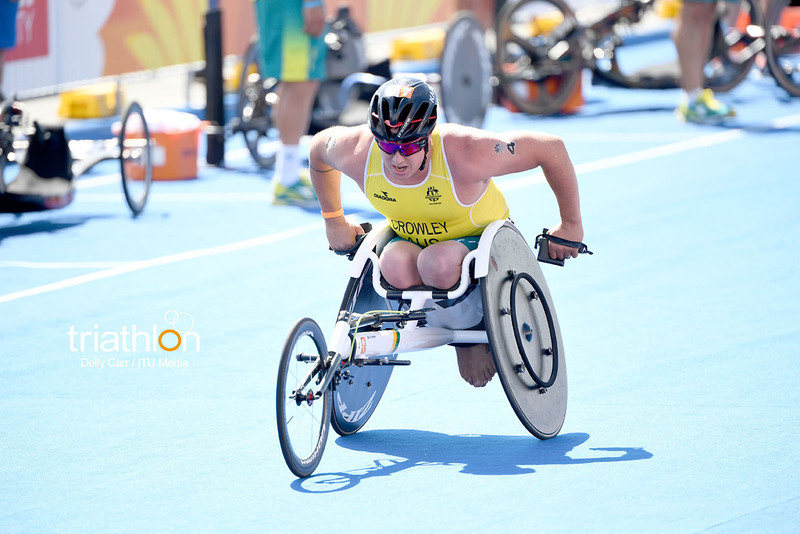 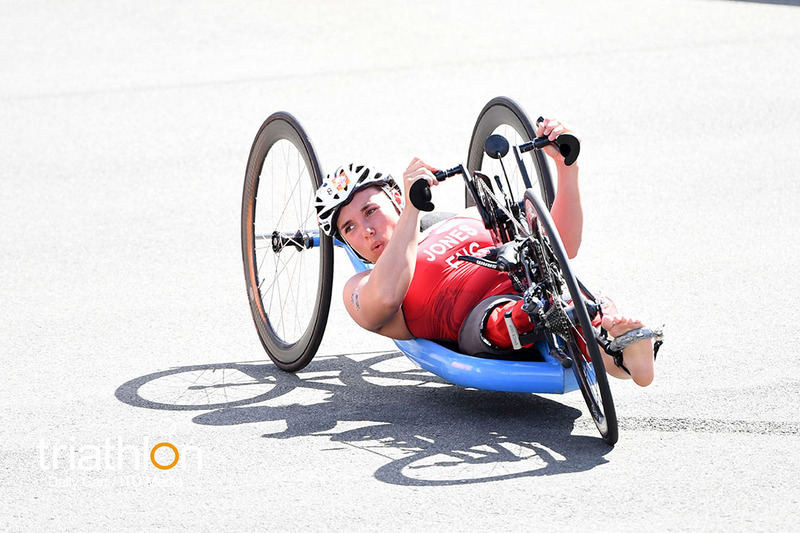 Jonny, who finished 7th in WTS Abu Dhabi in March after he crashed on the bike, has been focussing on adapting to the weather circumstances he will have to face in the Gold Coast. 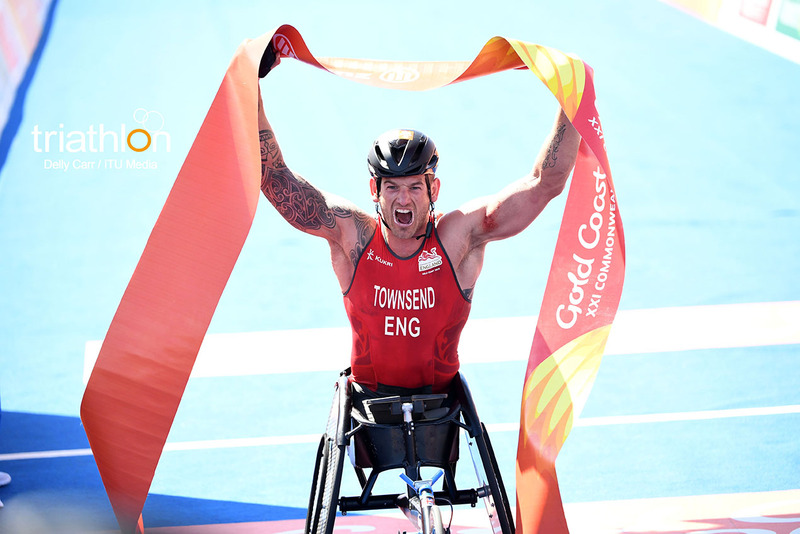 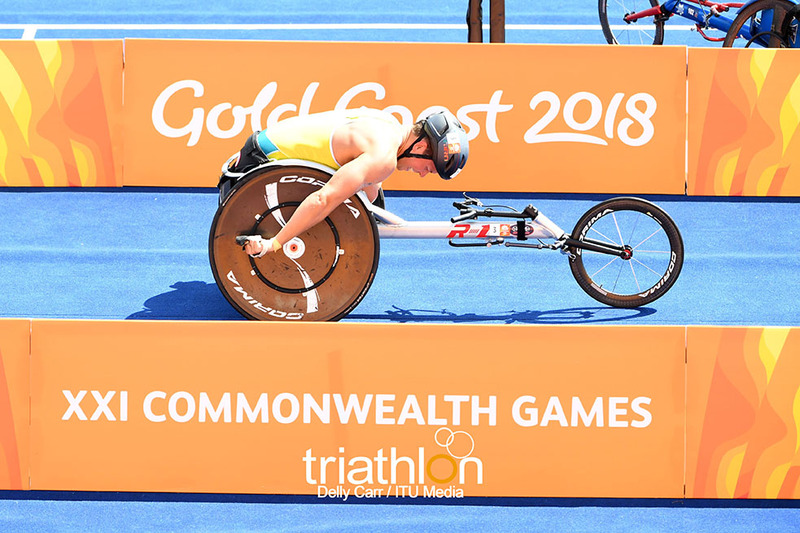 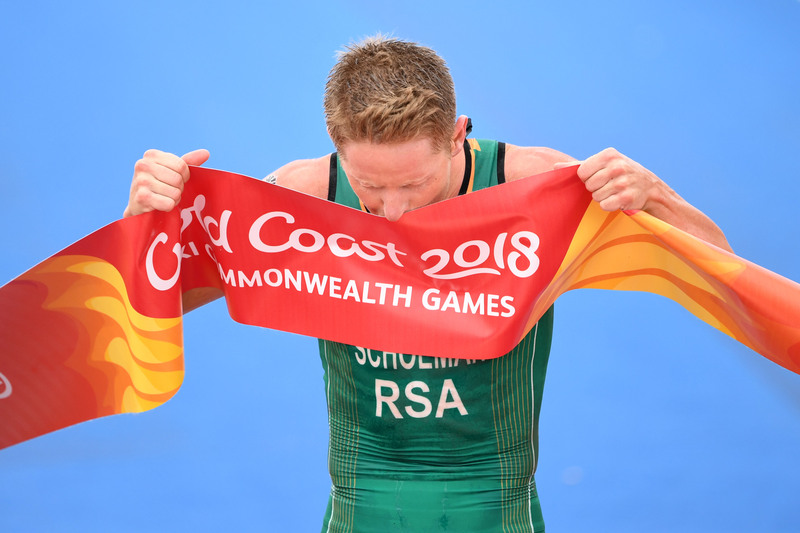 “I didn’t have my finest winter training this year, but I think it’s going to be ok. I’m really looking forward to the Commonwealth Games and competing in similar conditions as the ones I made back home, on my conservatory, where I built some heaters to try to prepare myself for the hot and humid conditions that we will have in Gold Coast”, he said. 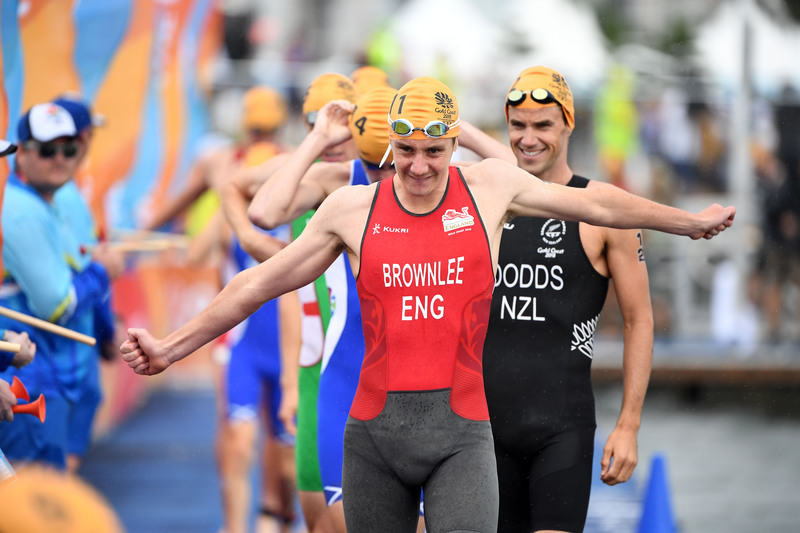 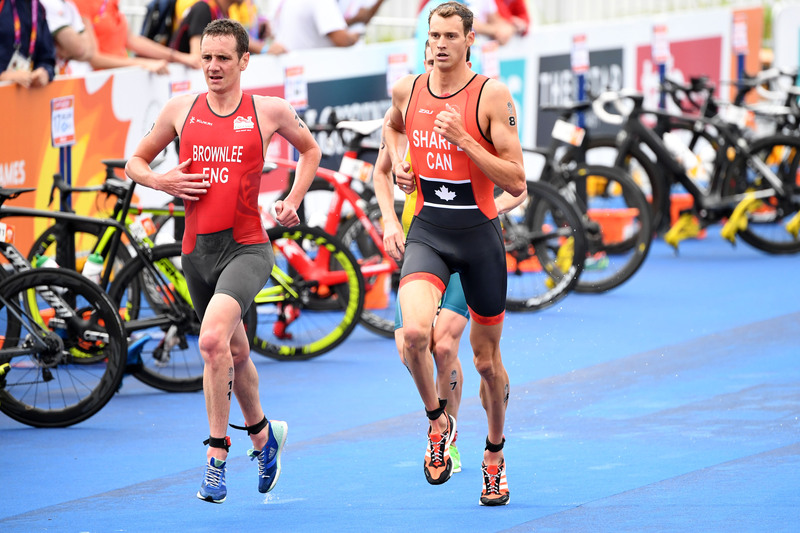 Returning from six months off from competition after surgery, Brownlee’s older brother, Alistair, kicked off his 2018 season with a win and some blazing fast splits at Ironman 70.3 Dubai. 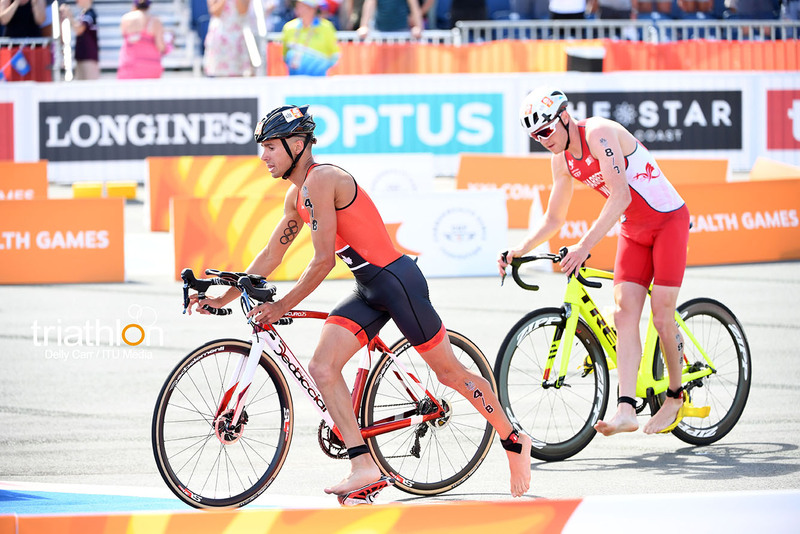 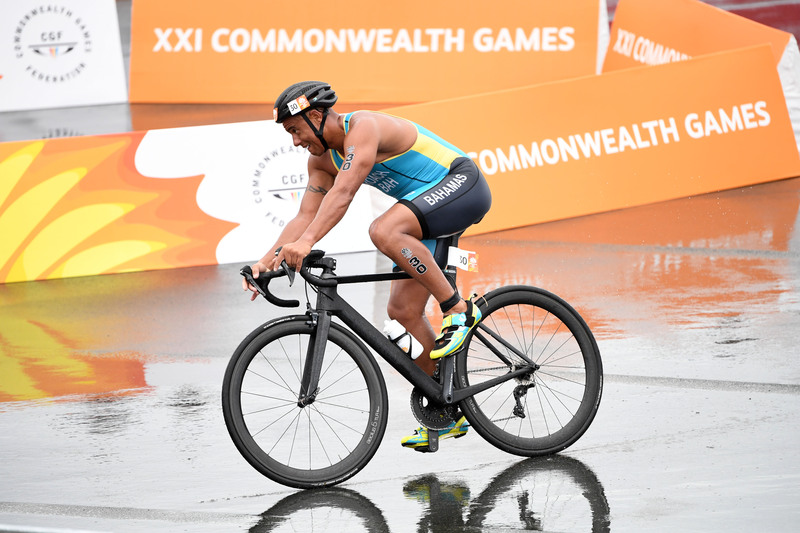 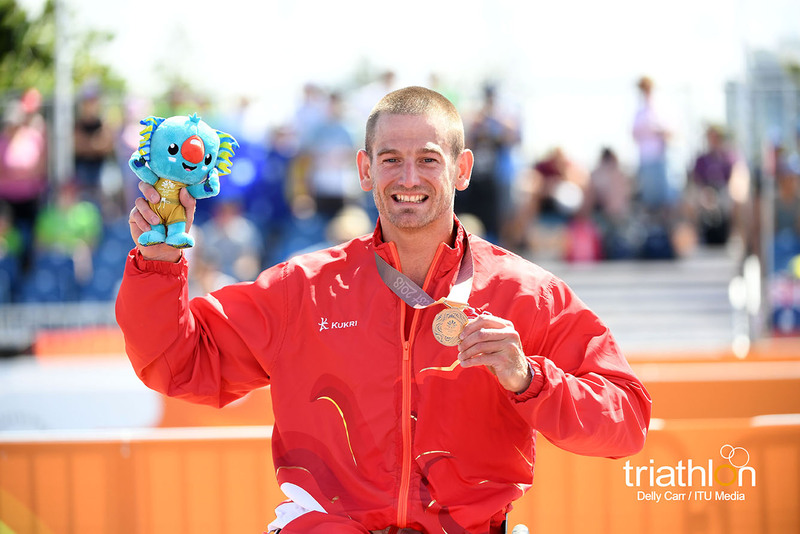 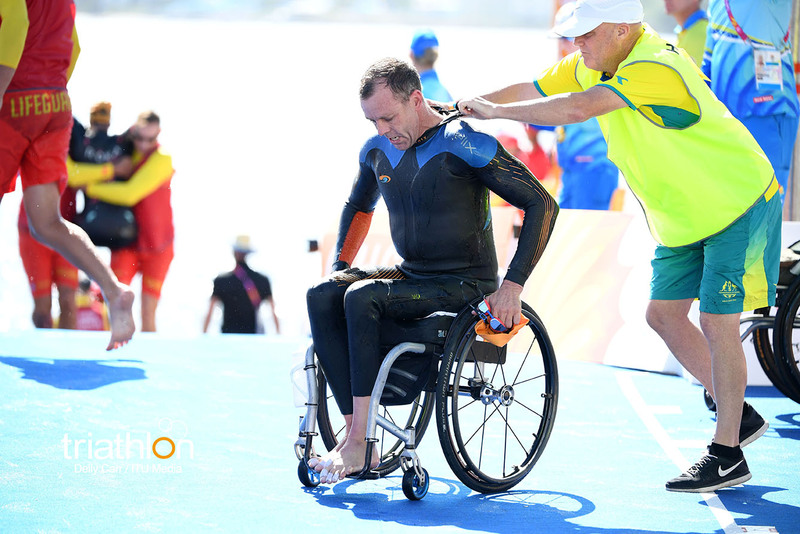 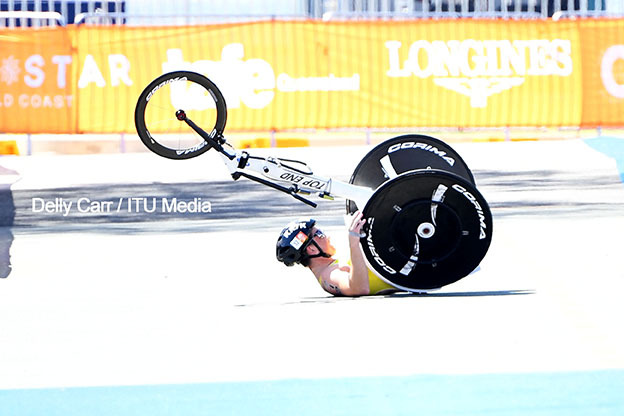 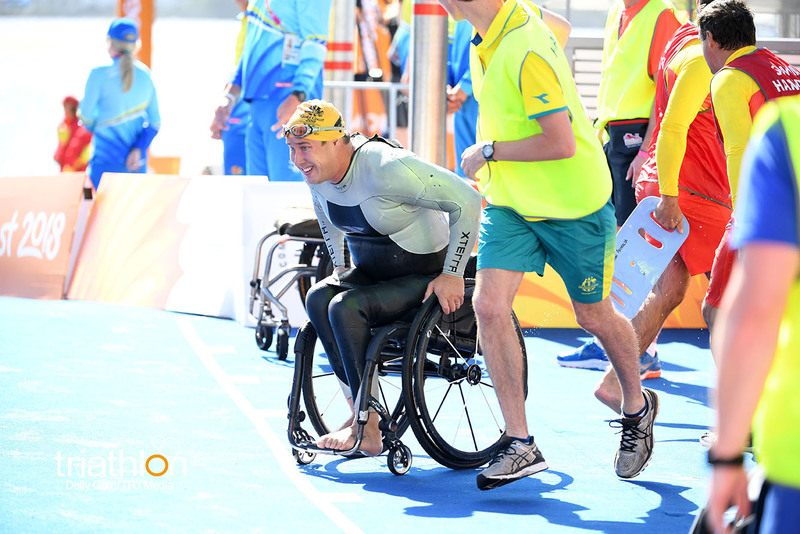 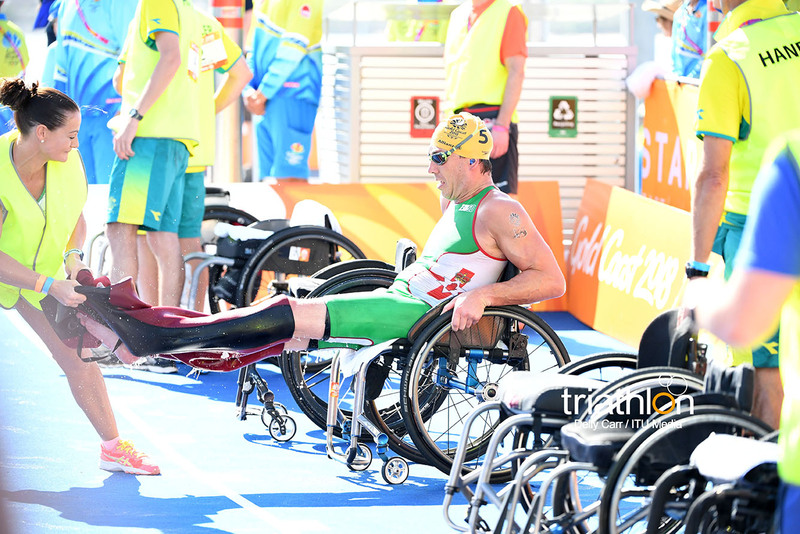 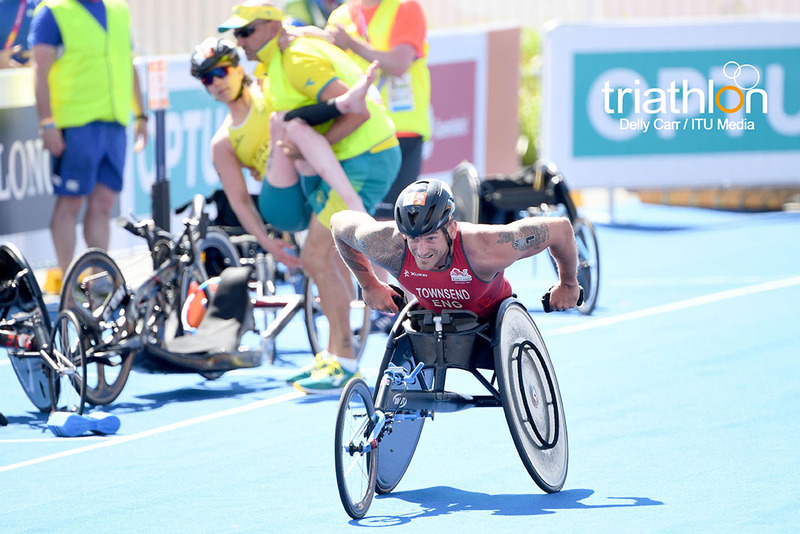 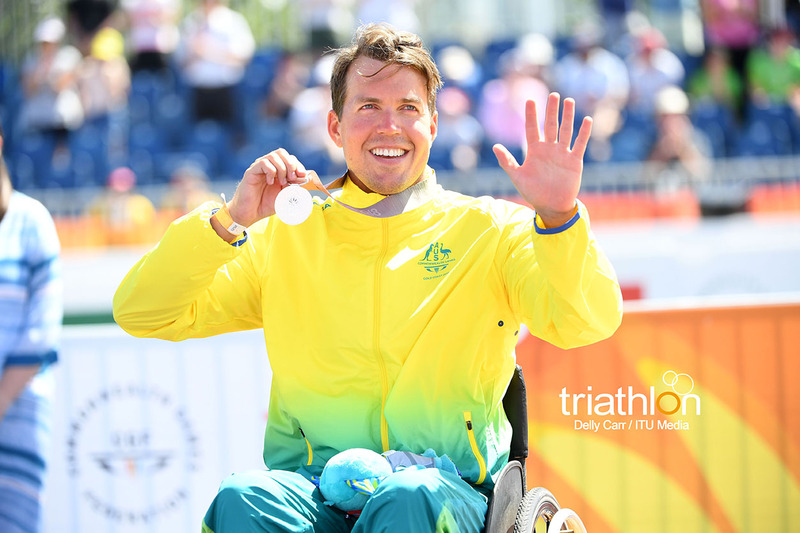 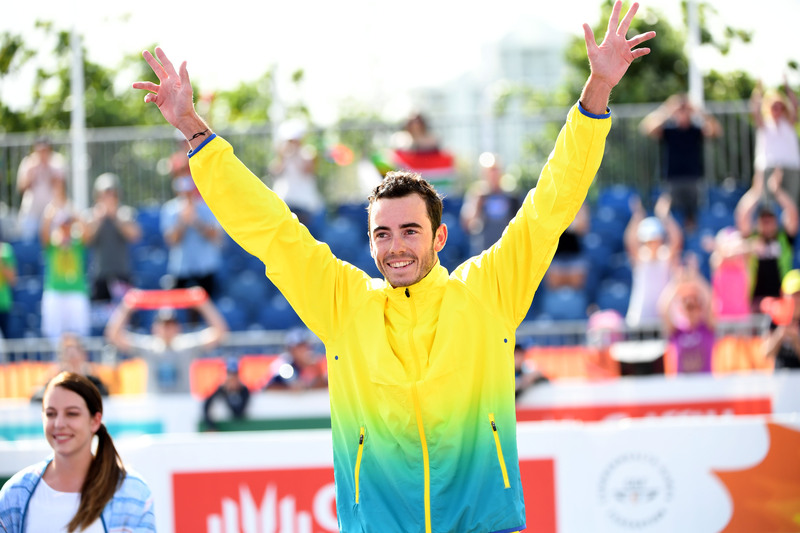 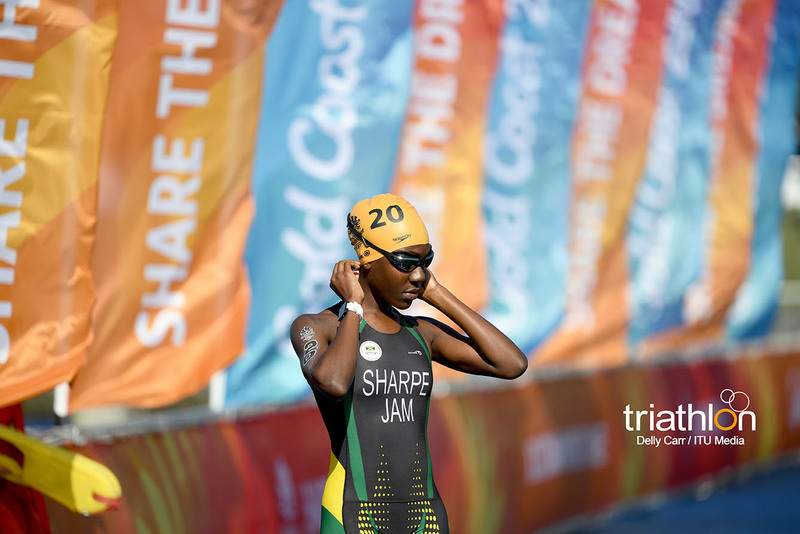 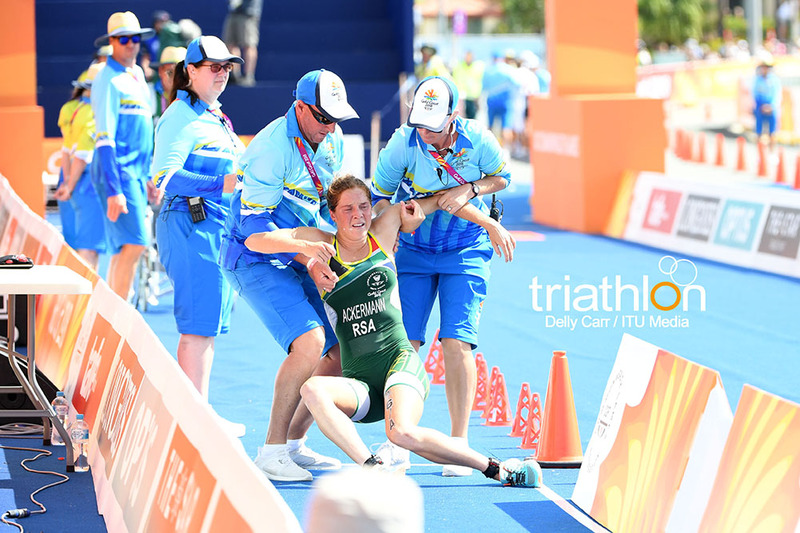 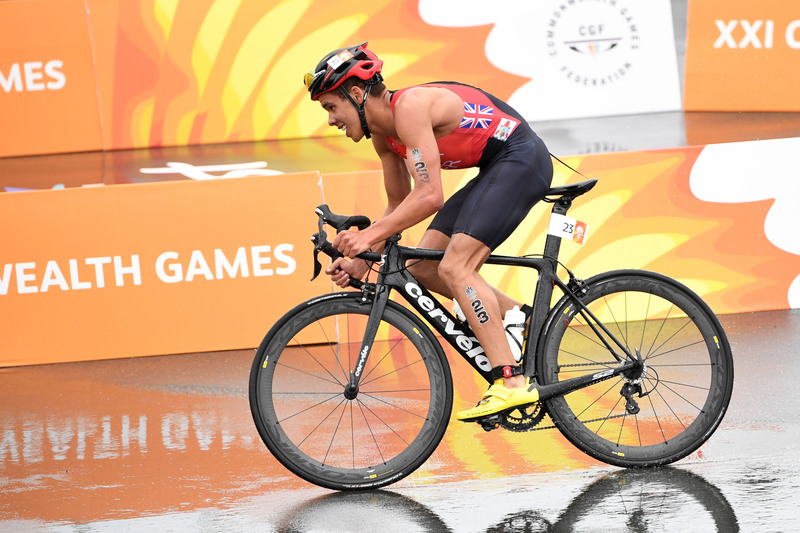 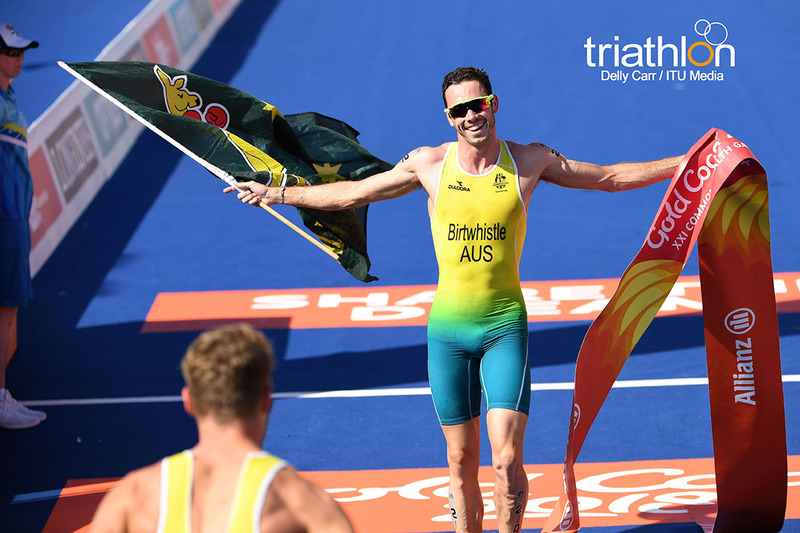 He then announced that he will race in the first WTS of the season in Abu Dhabi, to get ready for the Commonwealth Games, but a minor injury made him withdraw at the last minute. 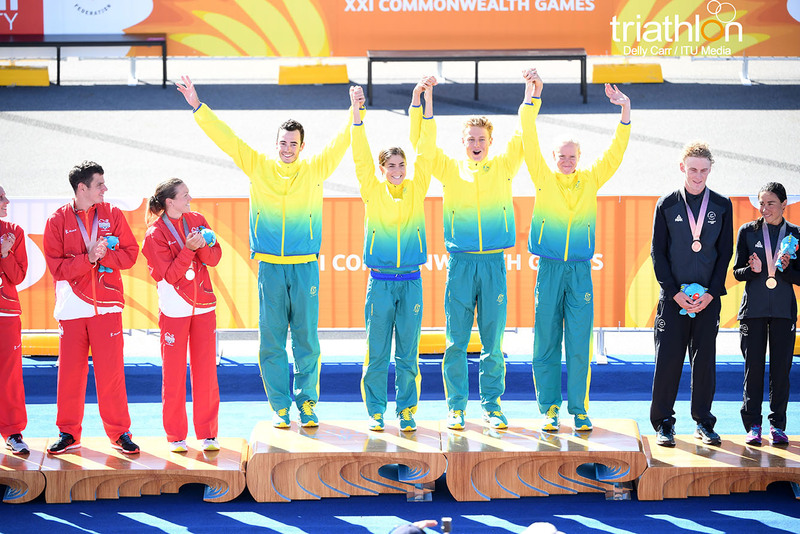 Alistair has been training also in Queensland for three weeks, and looks like one of the ones to beat this Thursday. 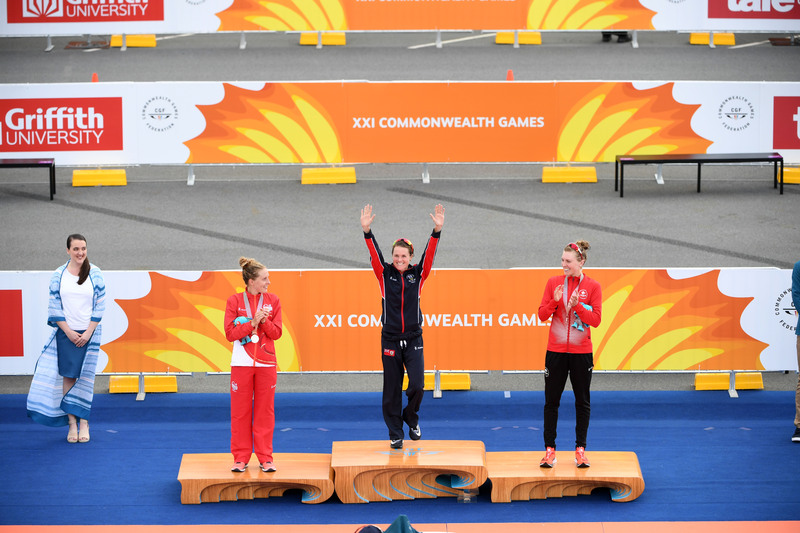 “The Commonwealth Games has always meant a lot to me and I am motivated to race for England”, he said. 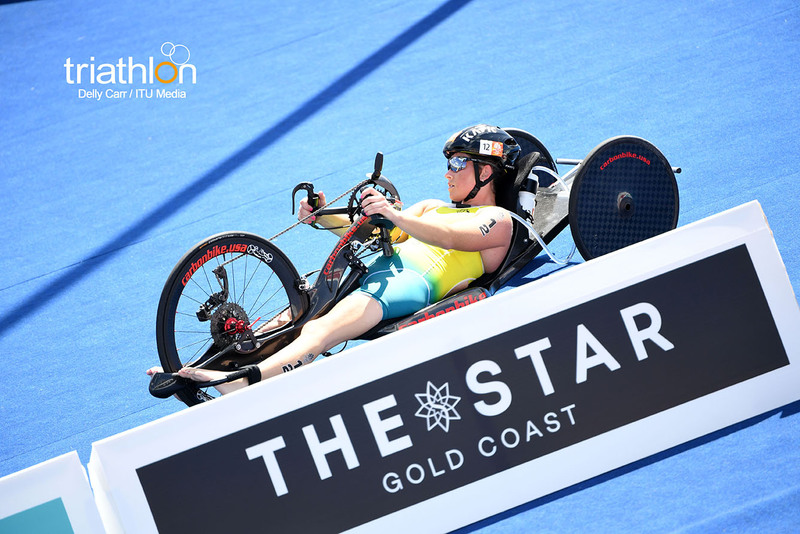 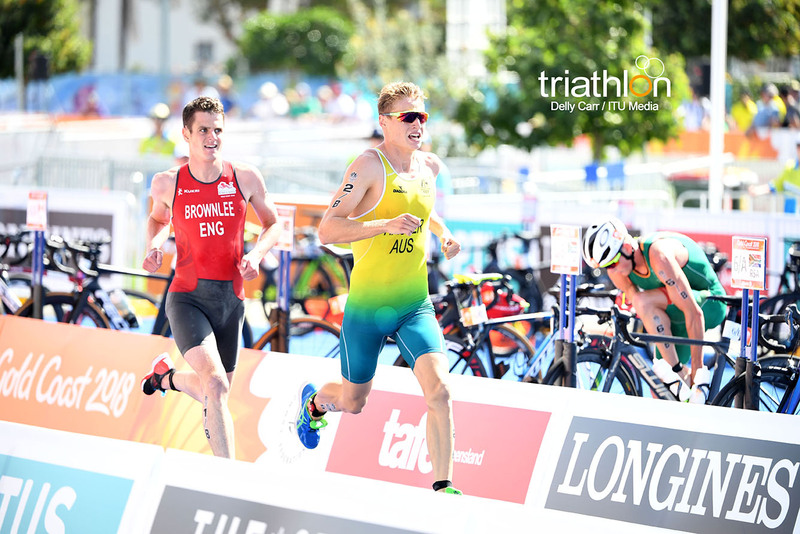 Both brothers will have some other strong names to watch, specially when it comes to a fast sprint race as the one designed for the Gold Coast. 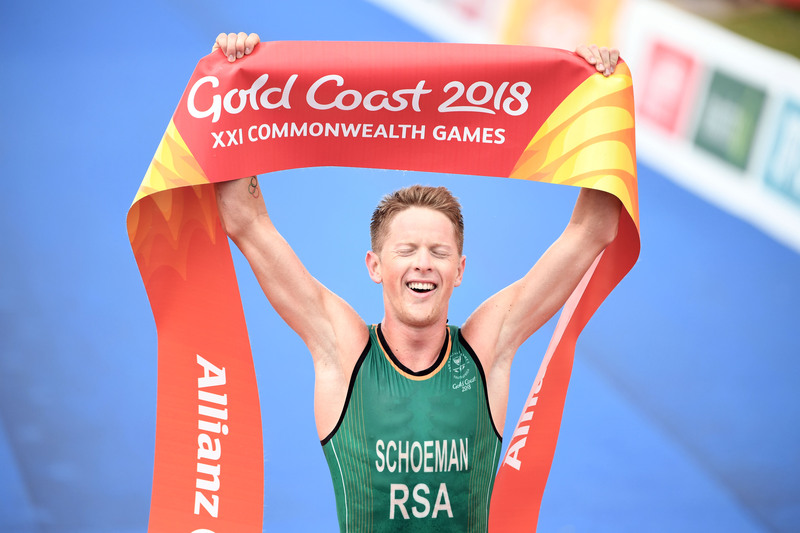 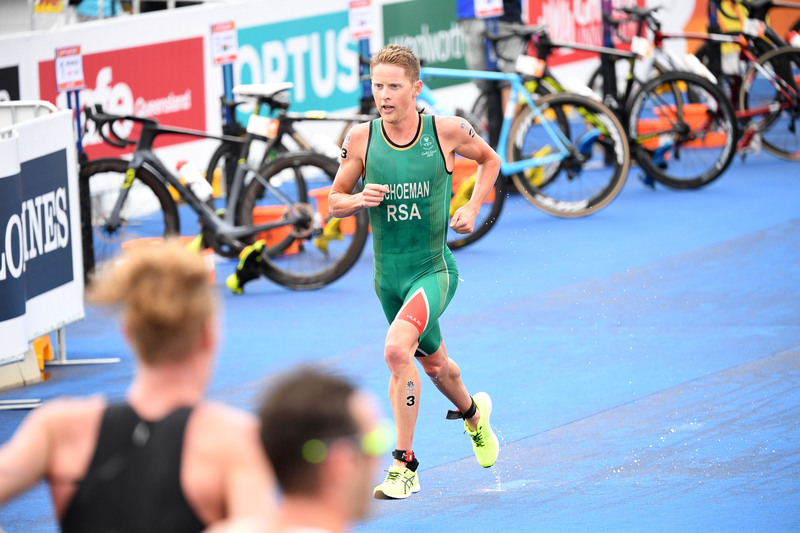 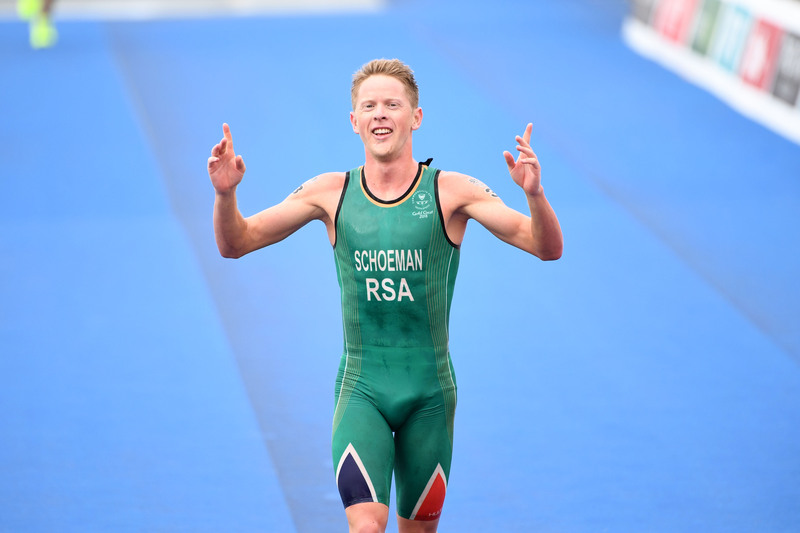 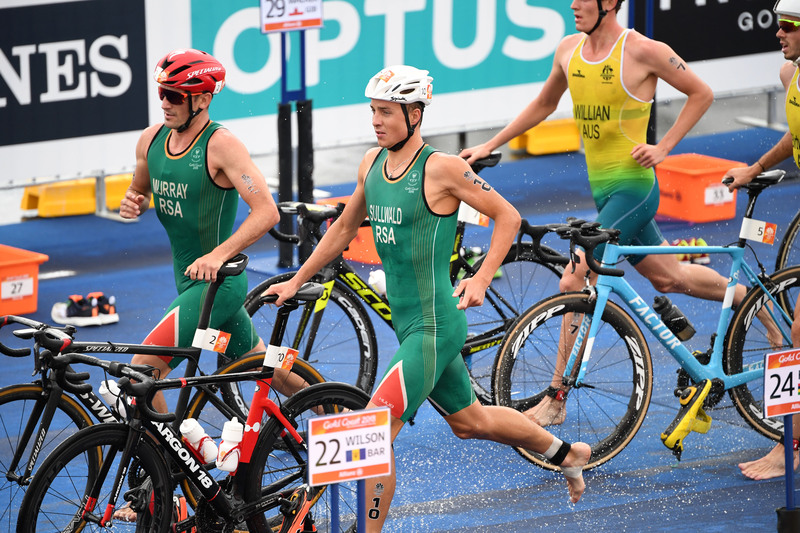 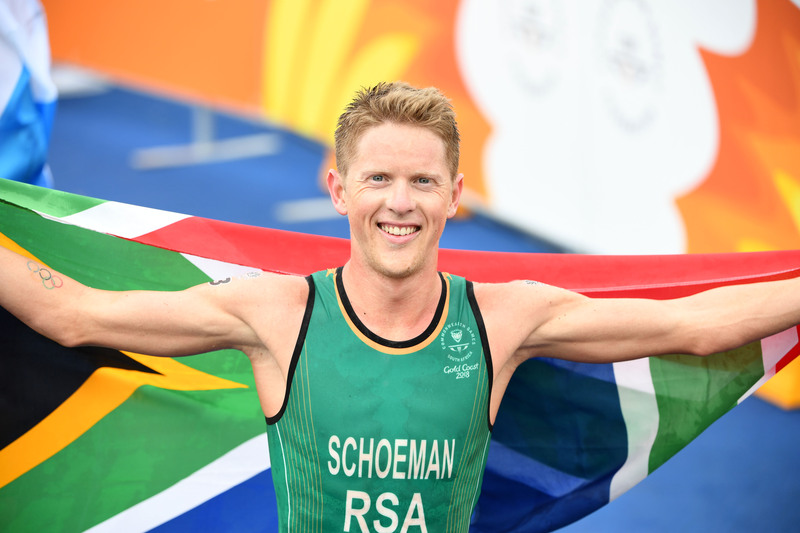 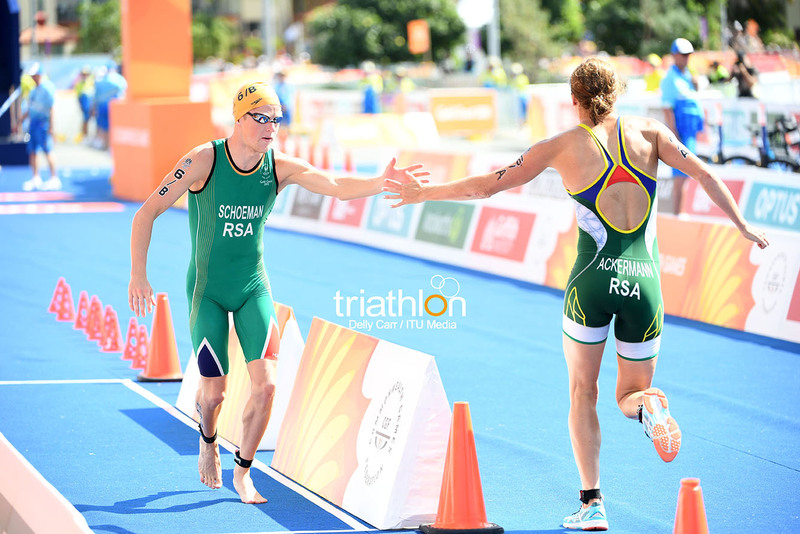 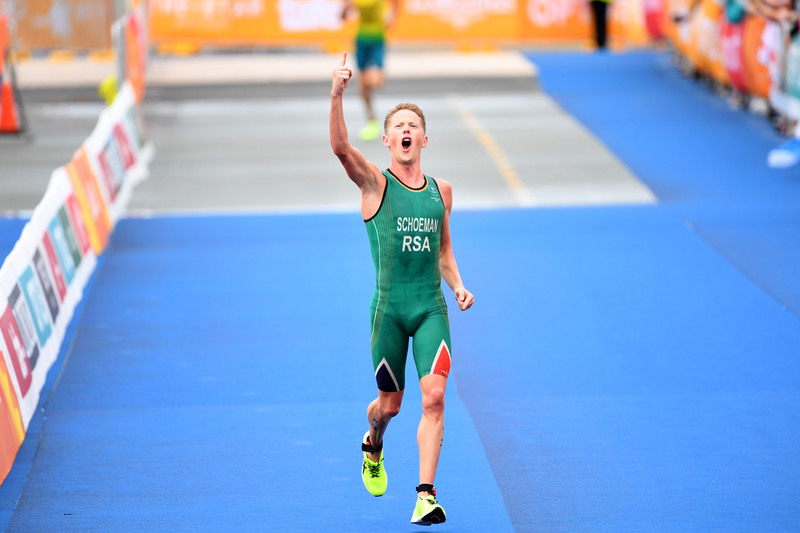 Henri Schoeman (RSA), bronze medallist in Rio 2016, has had one of the strongest starts of the season, winning the WTS Abu Dhabi after a dominant performance, leading all three segments of the race. 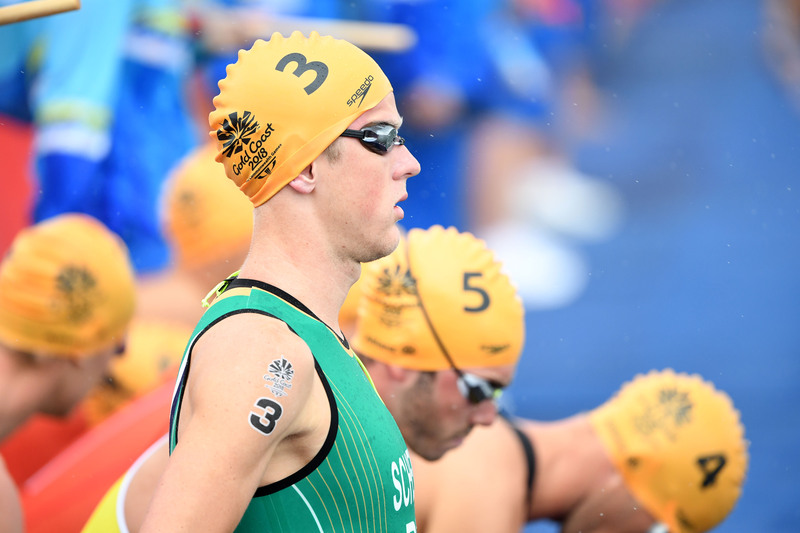 Being one of the strongest swimmers of the race, expect him to try to build up a lead since the first strokes on the water. 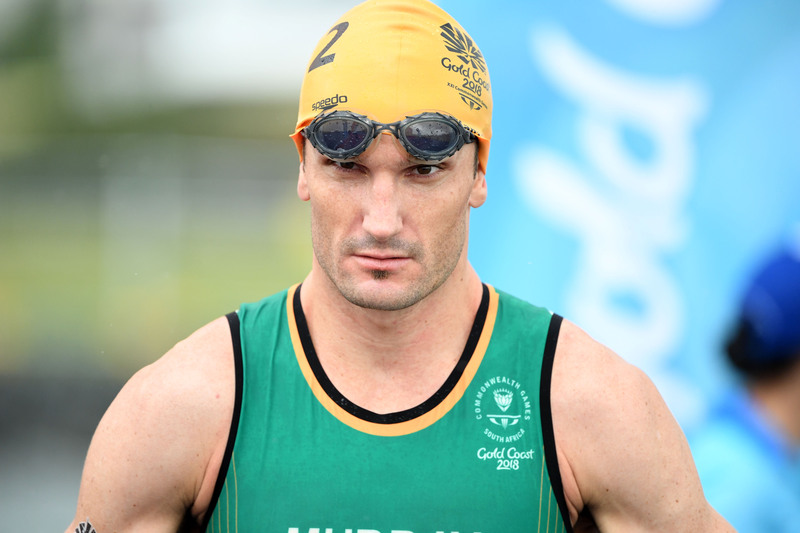 His compatriot Richard Murray, bronze medallist in the previous Commonwealth Games, will try to step up on the podium as well. 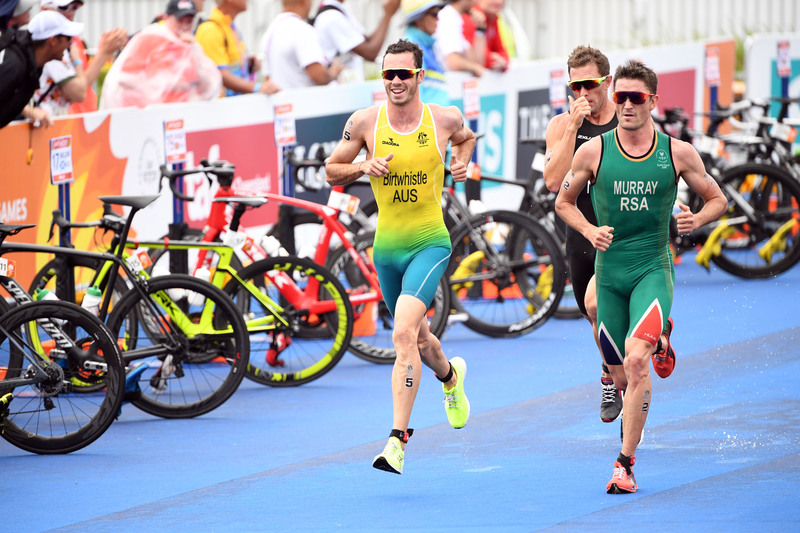 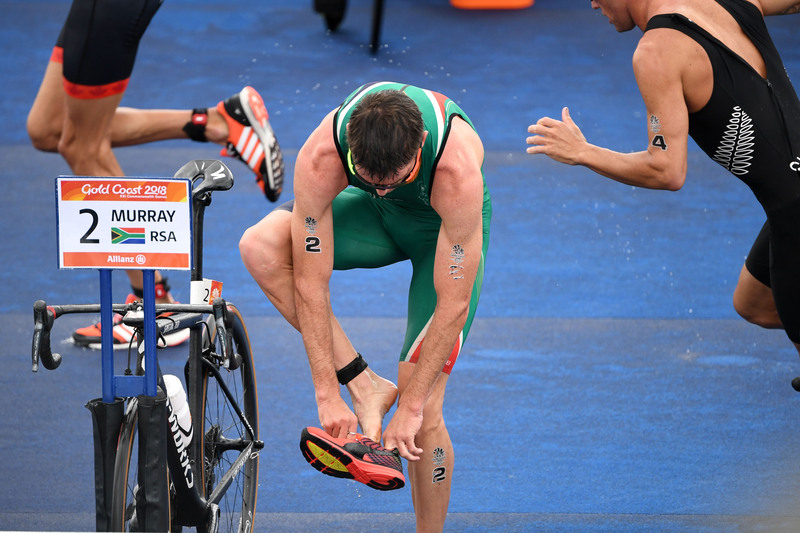 Even tho Murray rarely comes out of the swim in solid position, if he’s off his wheels and onto feet anywhere near the leaders, count the South African in, as he’s one of the fastest runners out there. 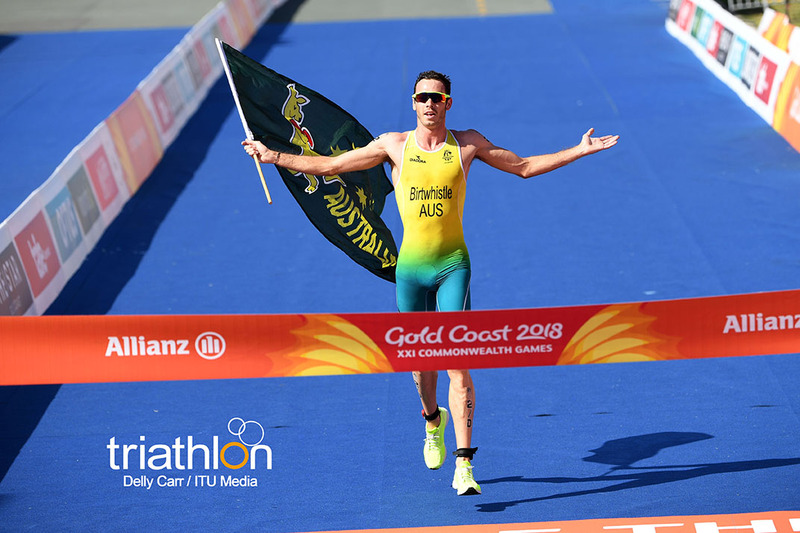 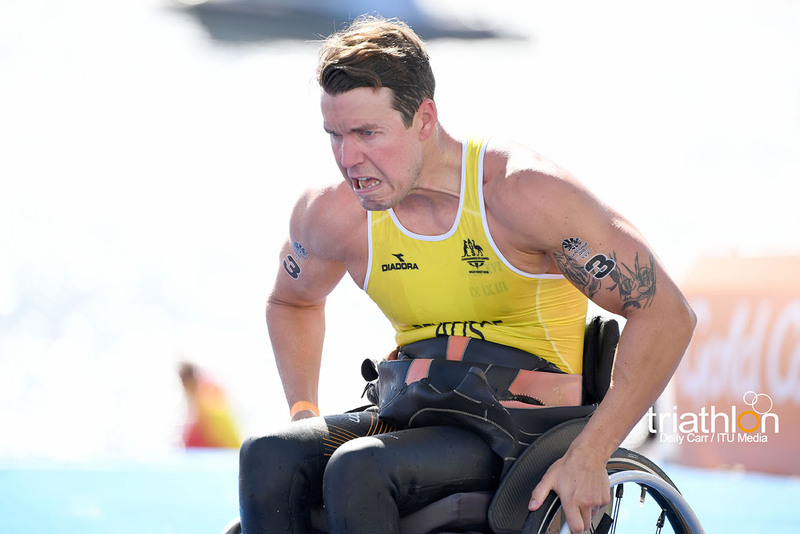 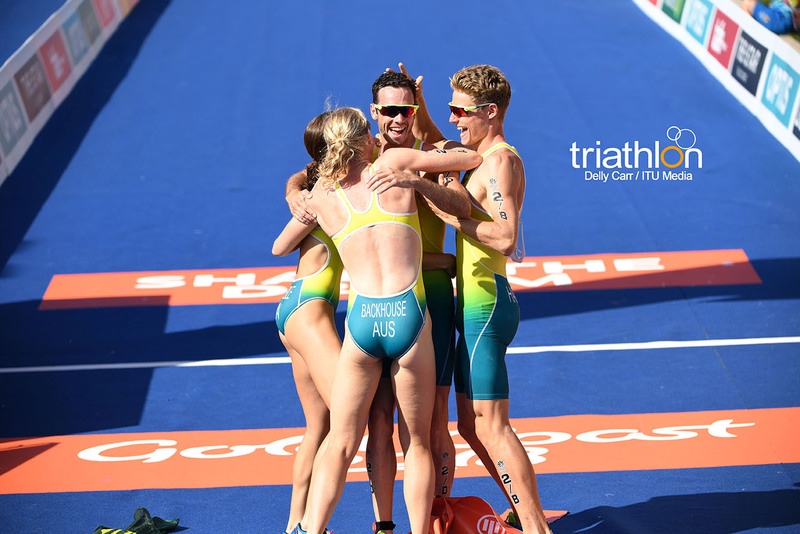 One of the strongest teams in the Gold Coast will be the local Aussies, with Jacob Birthwhistle, Luke Willian and Matthew Hausser trying to impress on home soil. 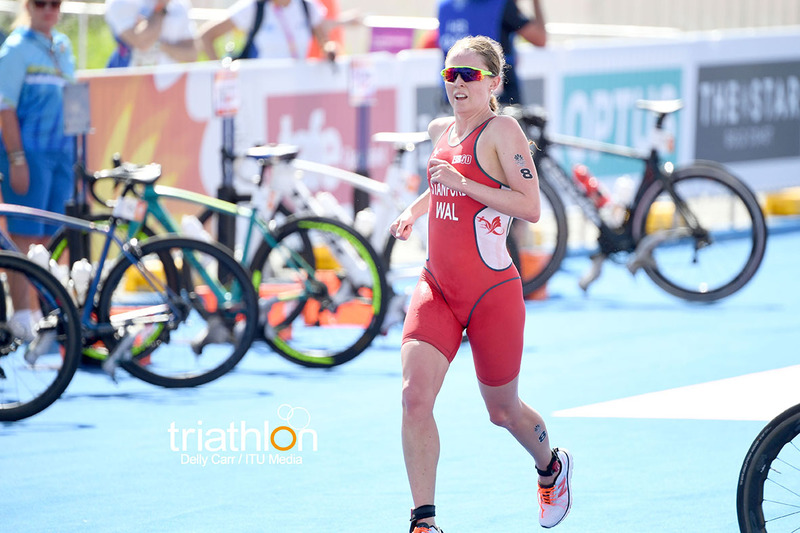 Birthwhistle had in fact an impressive end of the season last year, to finish 5th in the overall ranking and with two podiums in the World Series, and has started 2018 in the same way, finishing in fifth place in Abu Dhabi. 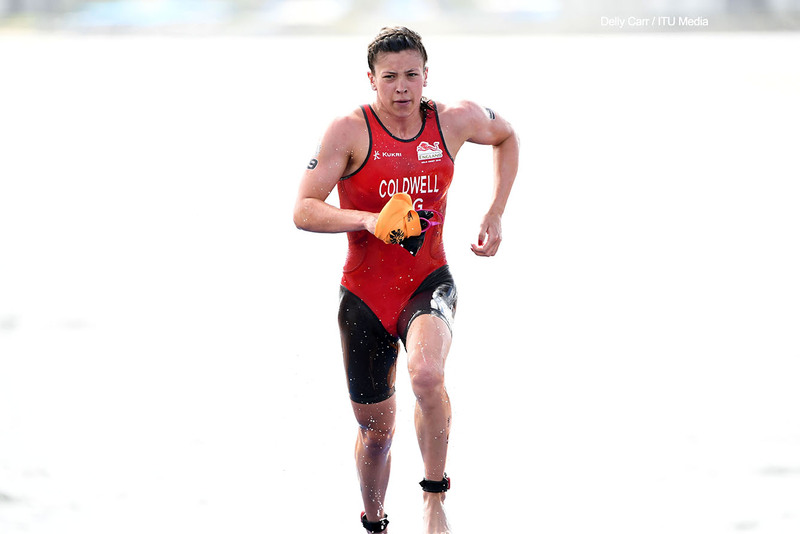 Another one of the fastest man on feet, expect him to be among the leaders if his swim is fairly good. 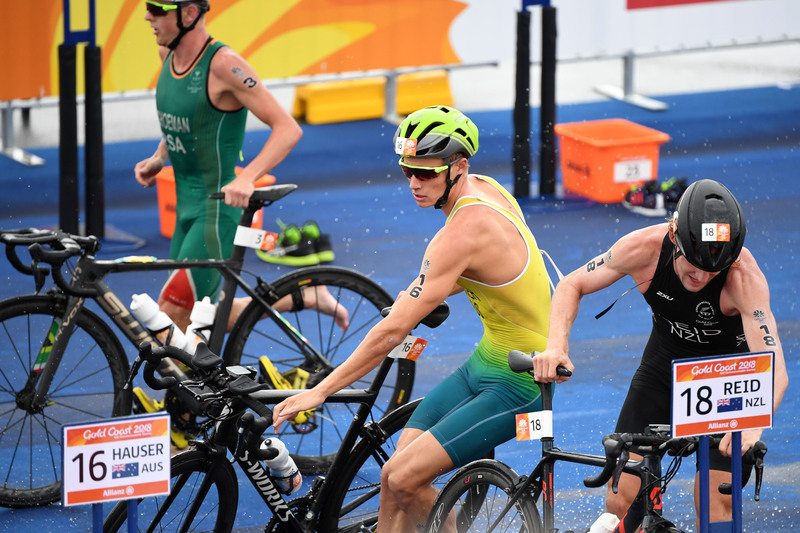 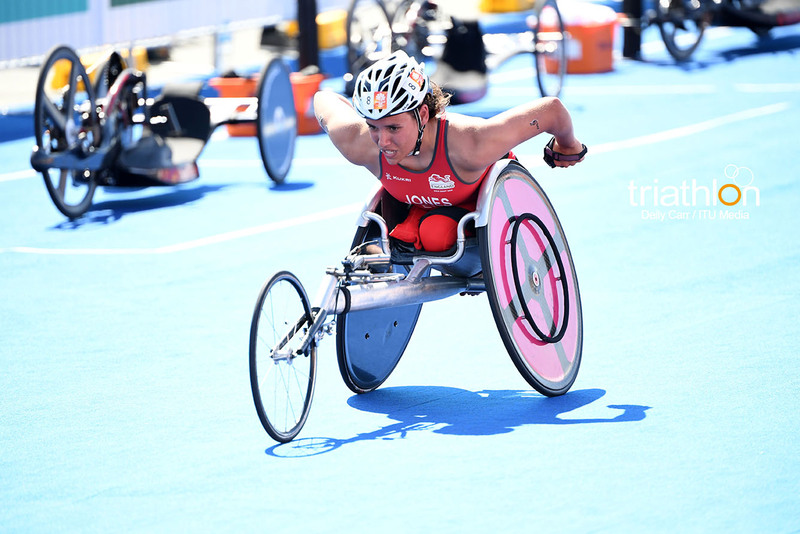 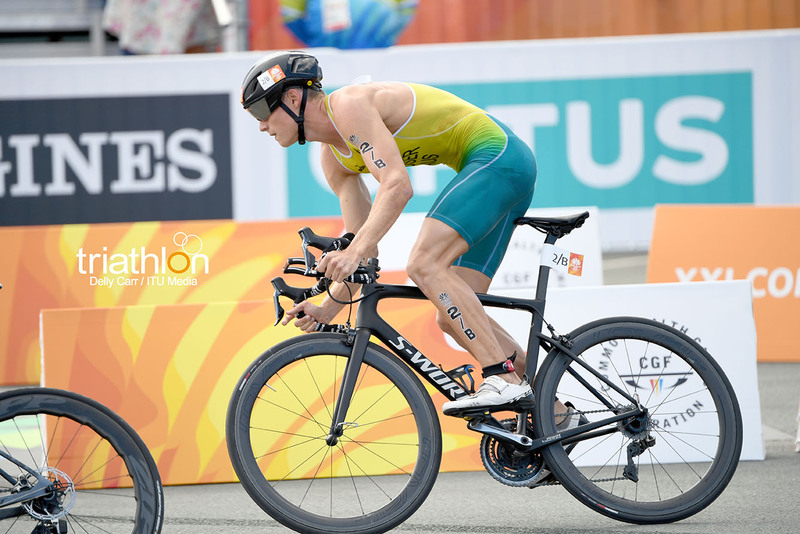 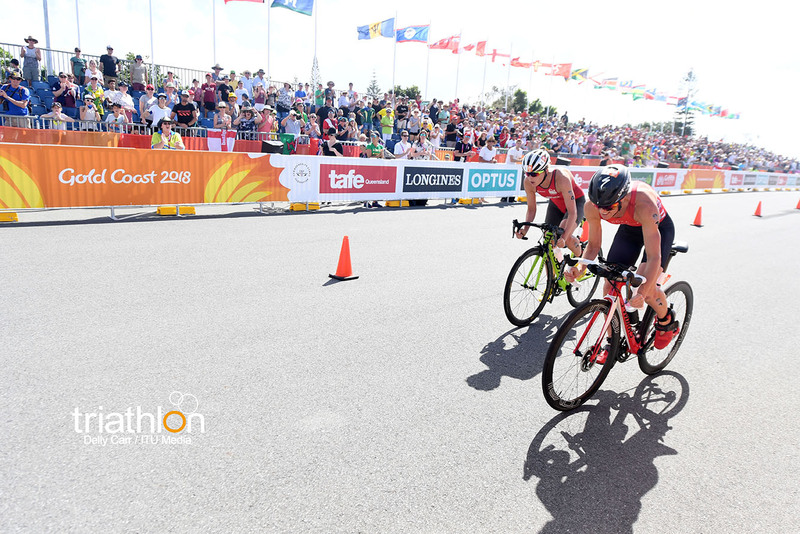 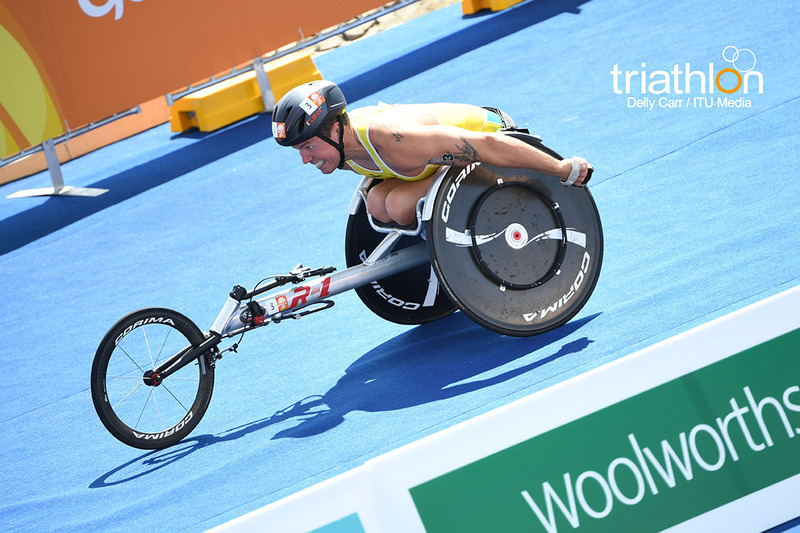 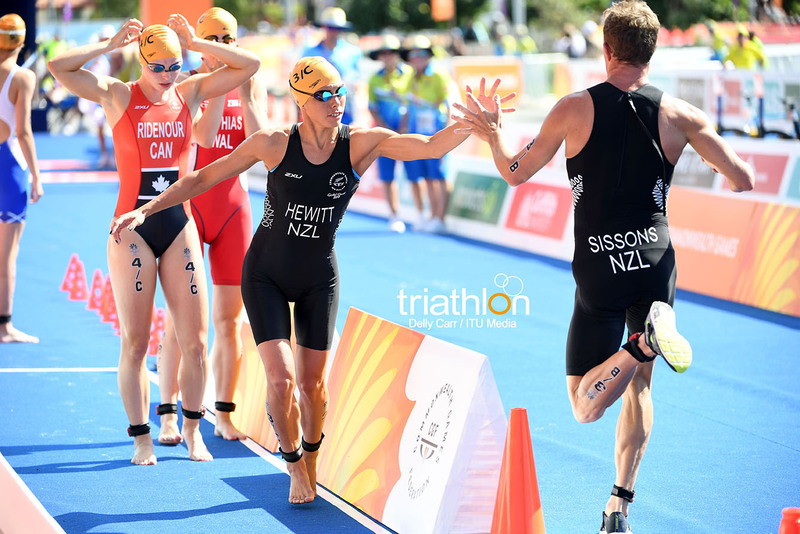 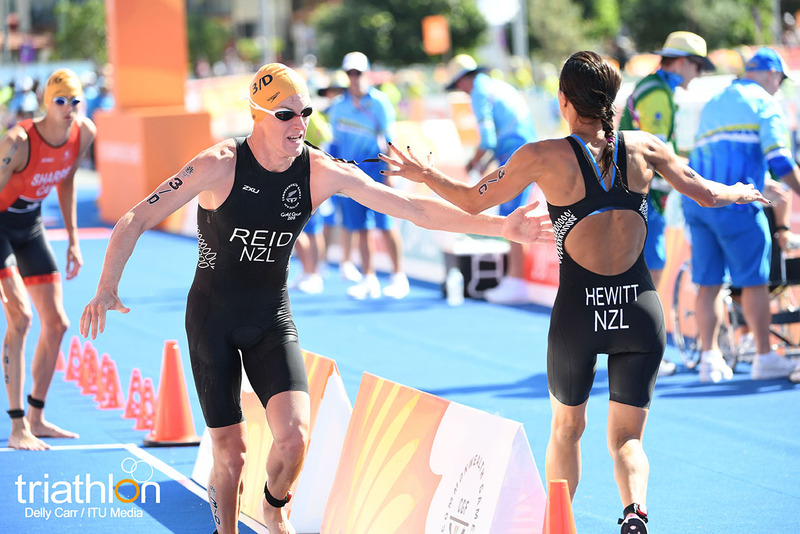 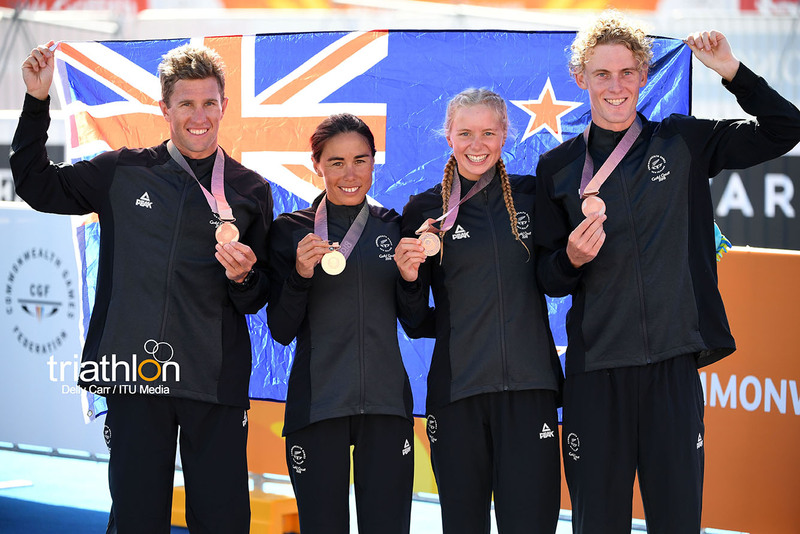 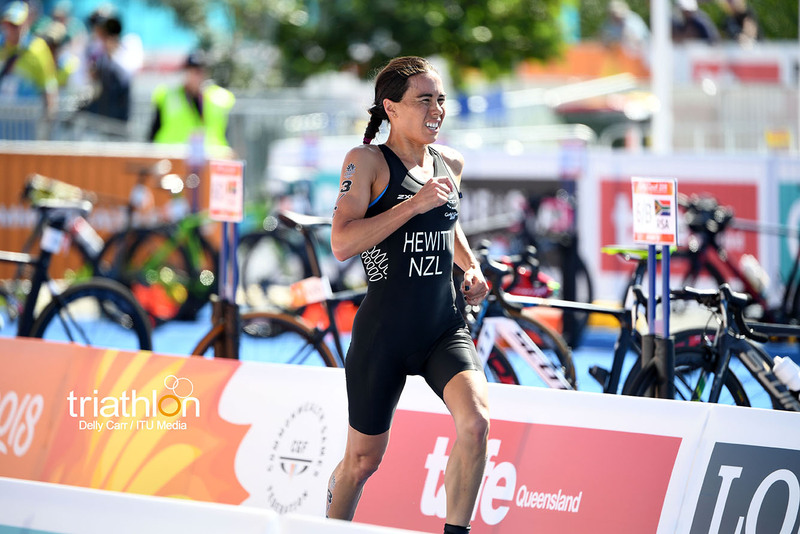 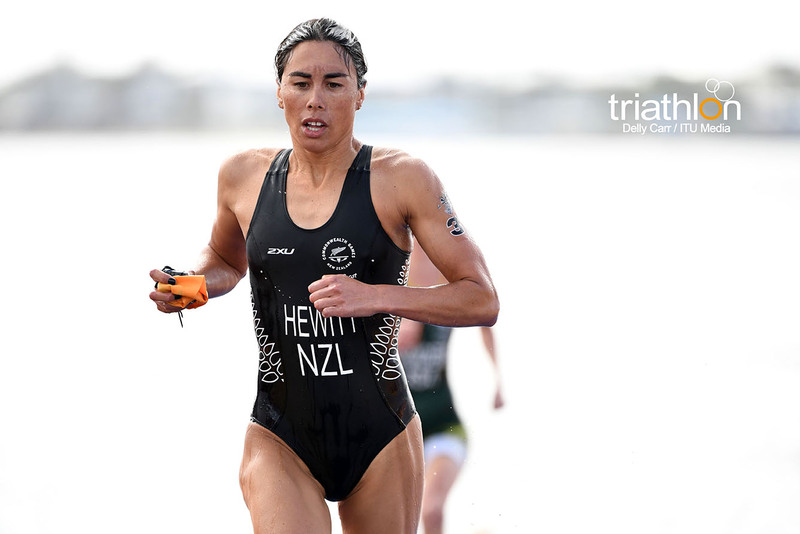 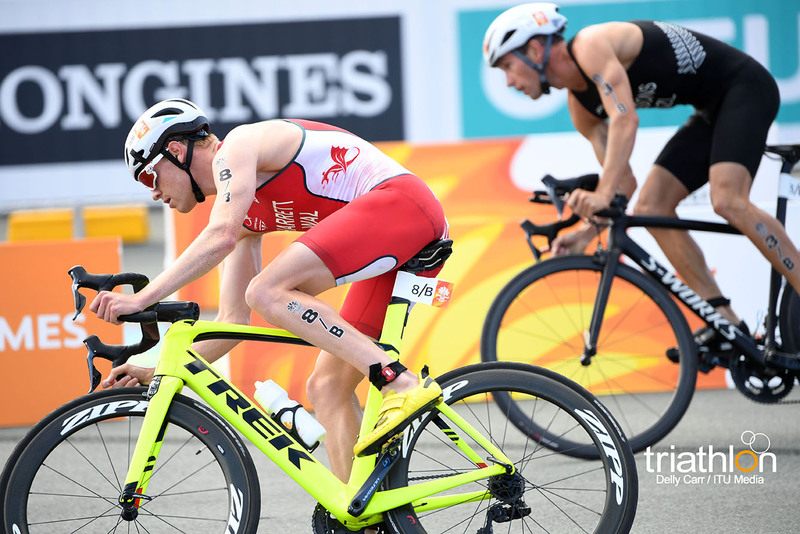 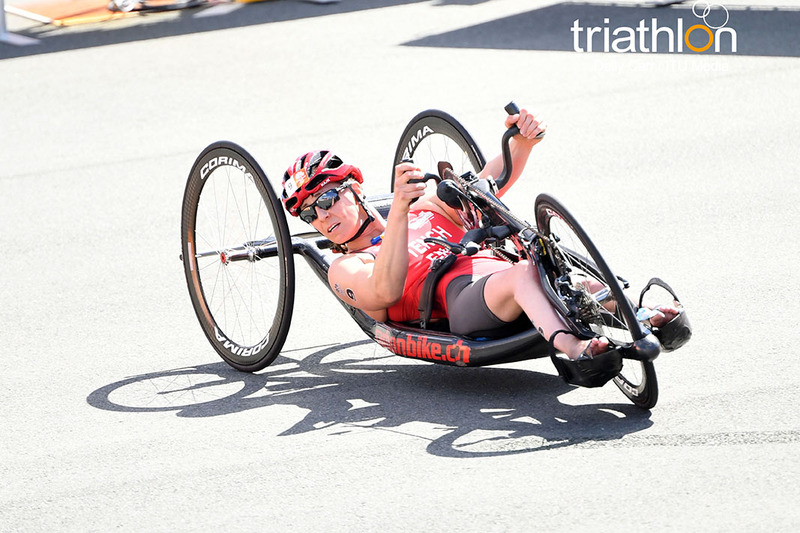 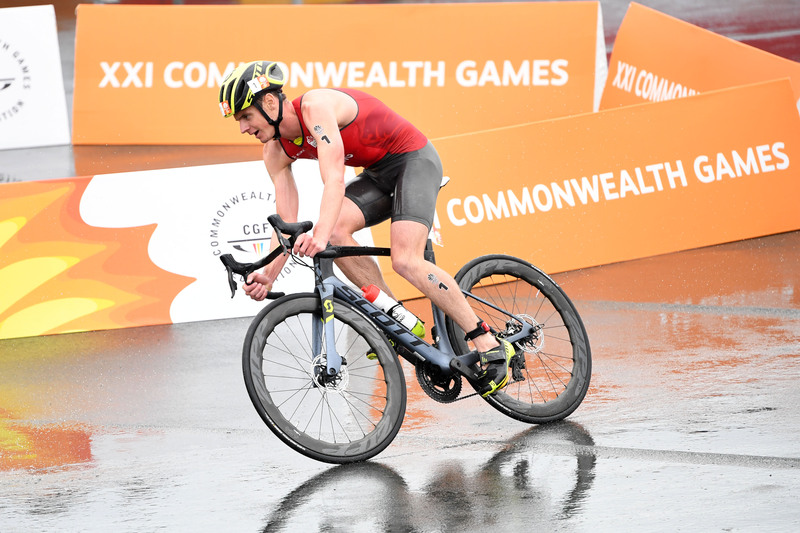 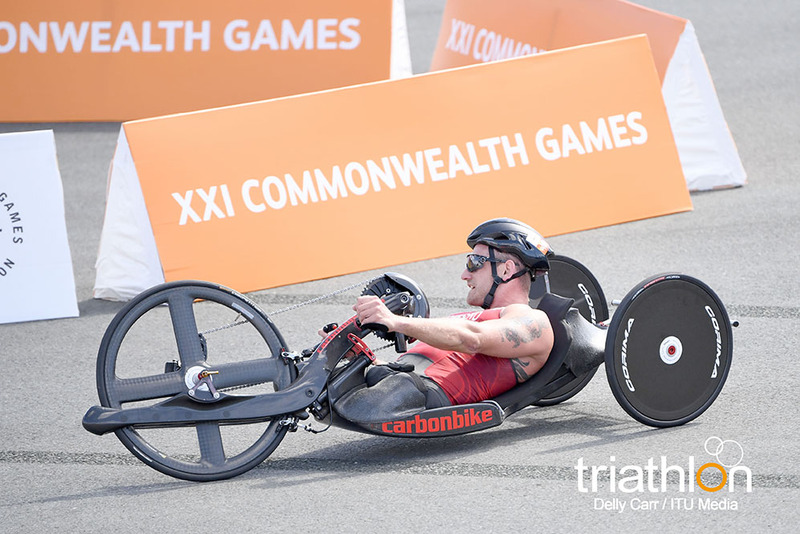 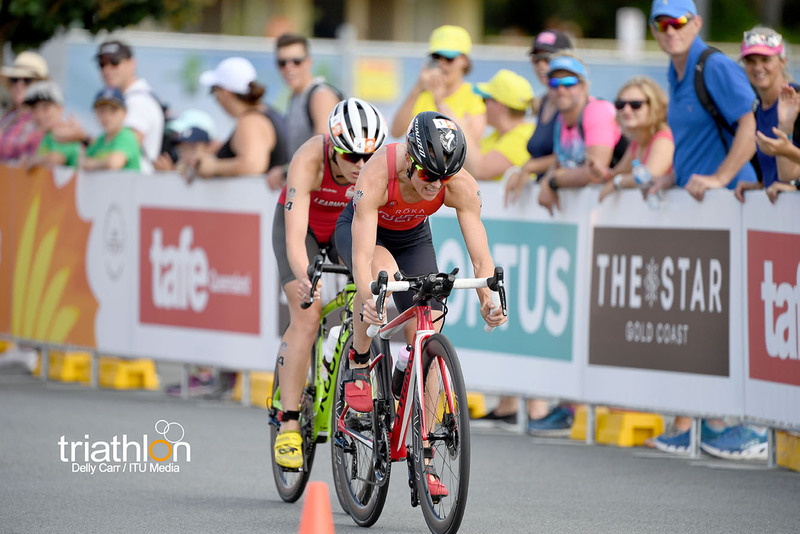 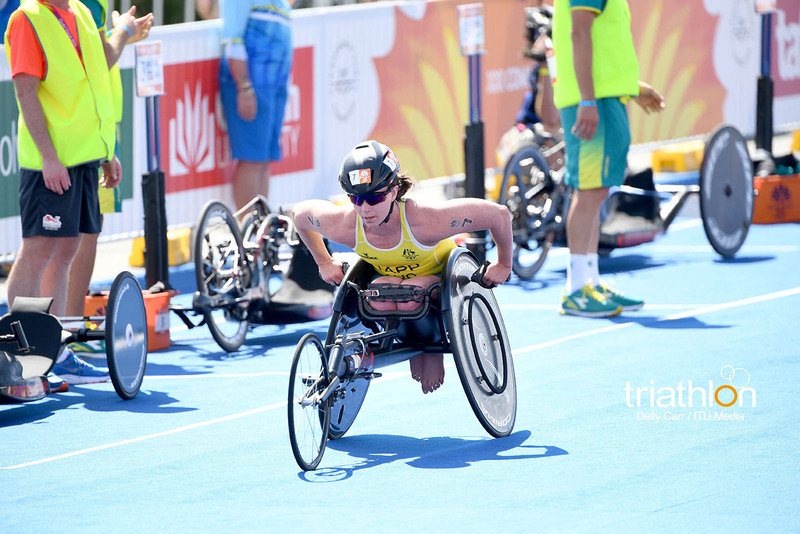 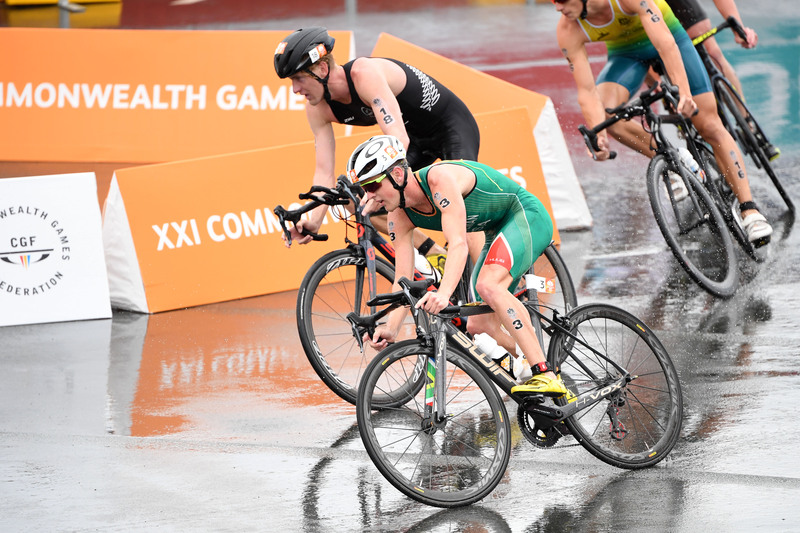 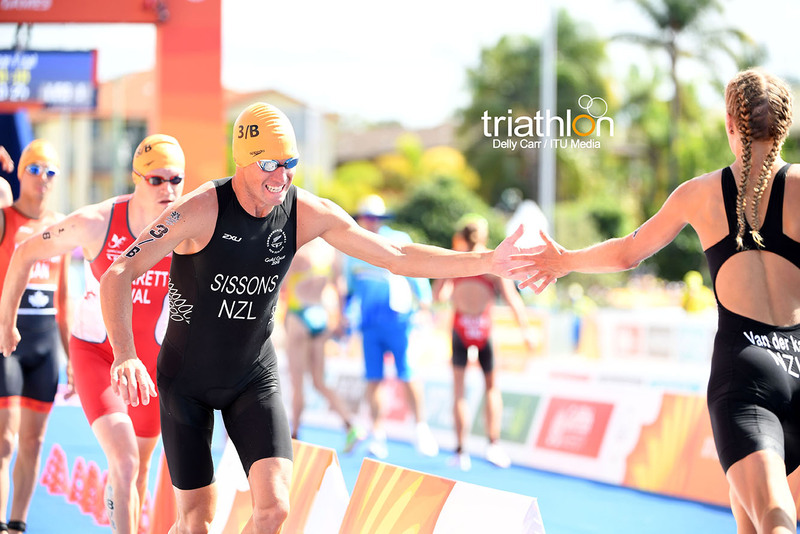 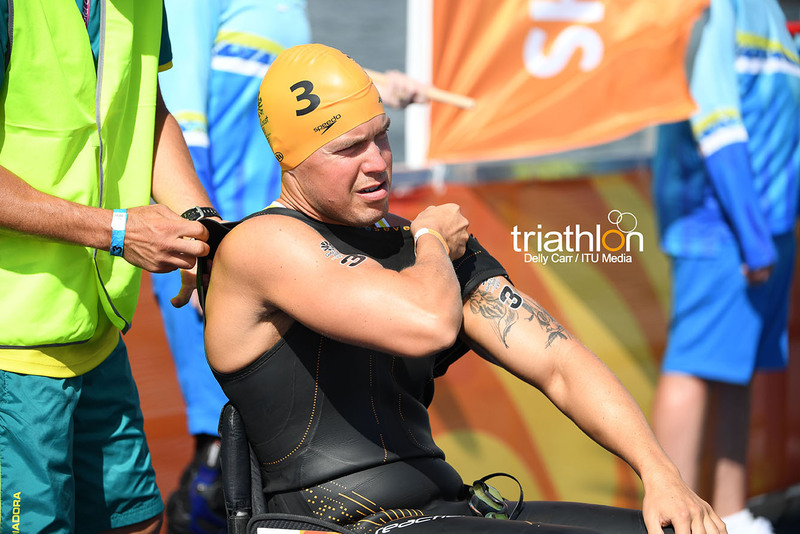 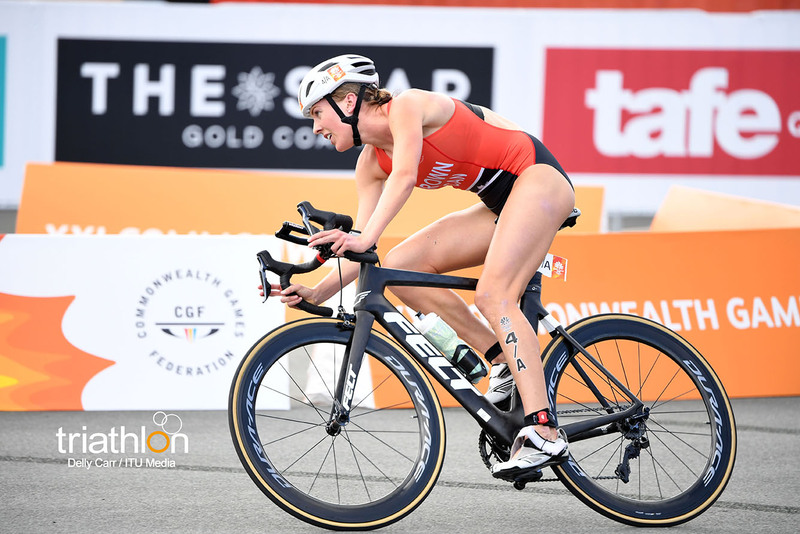 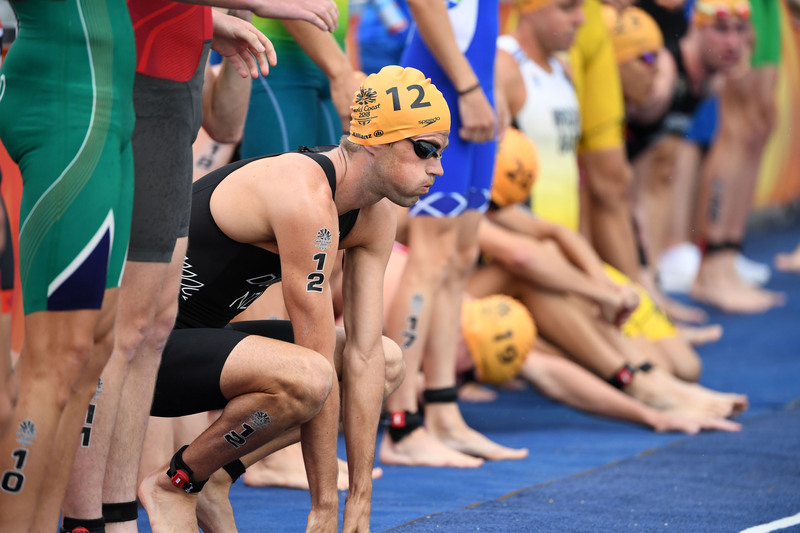 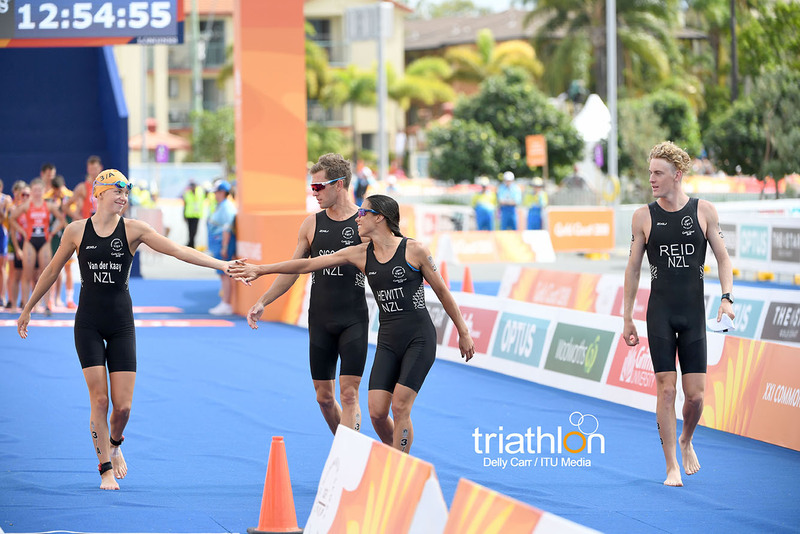 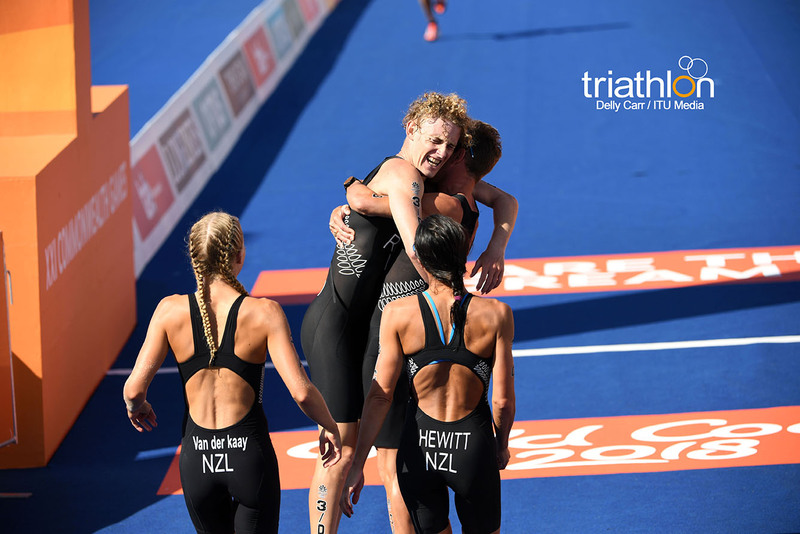 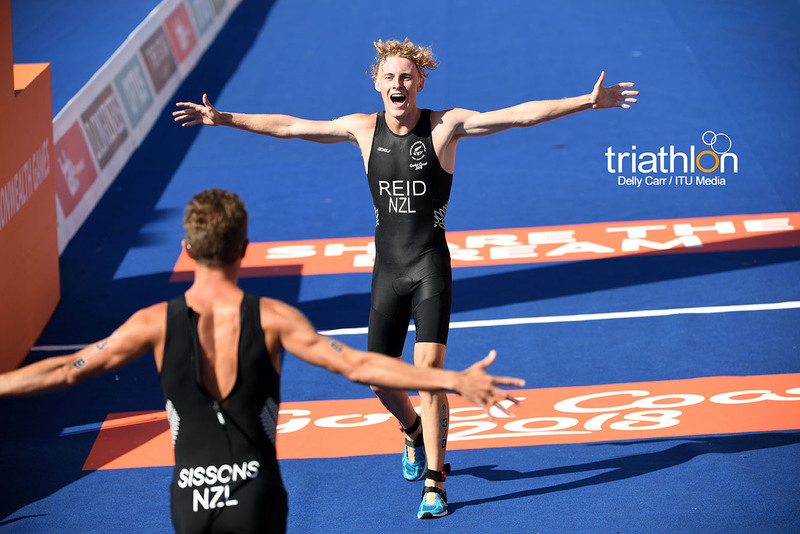 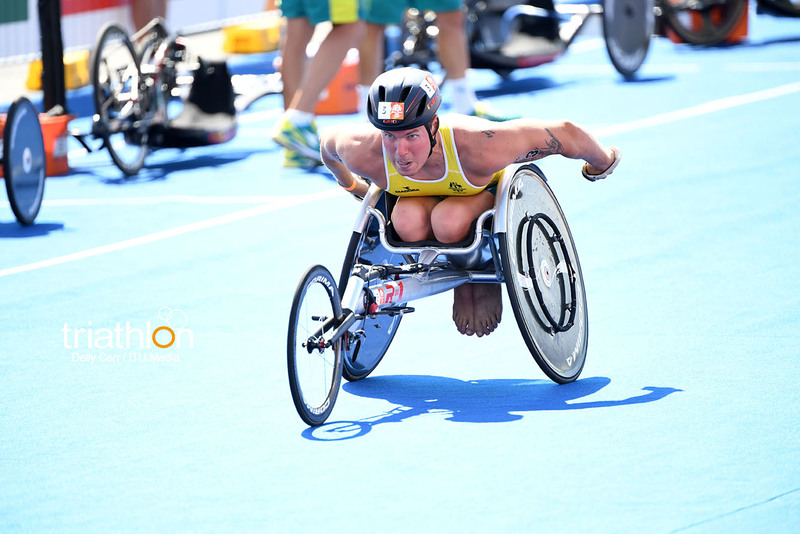 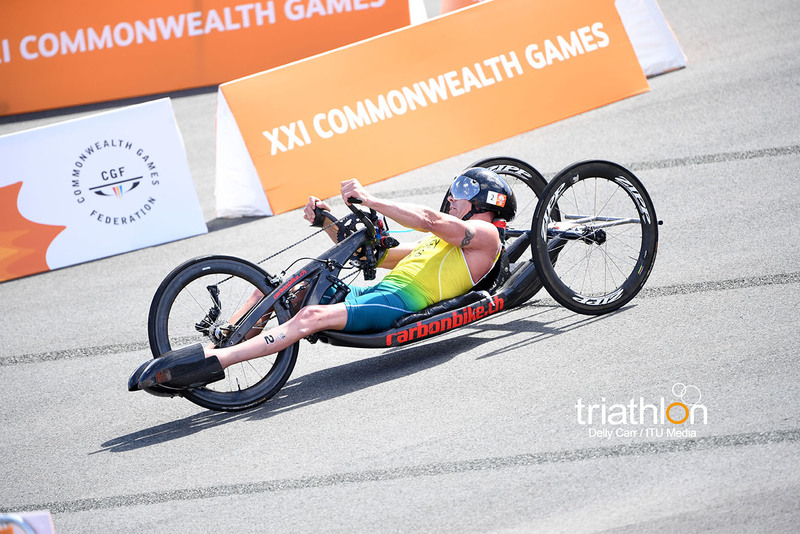 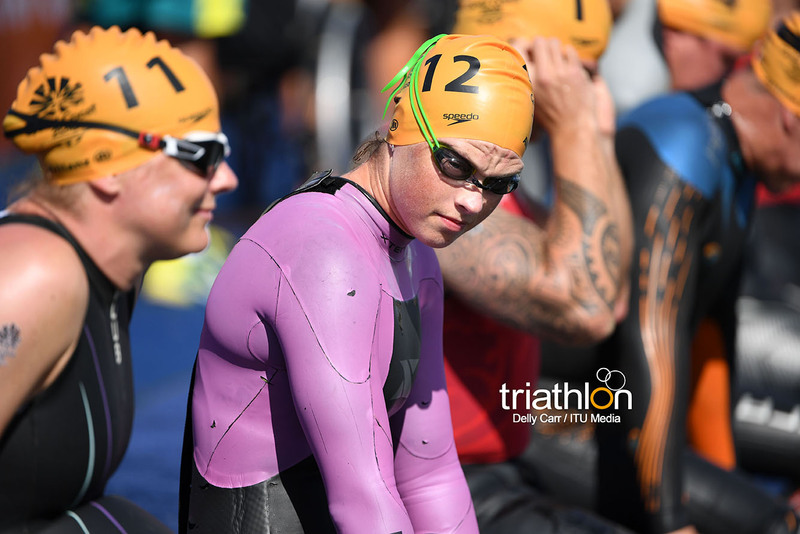 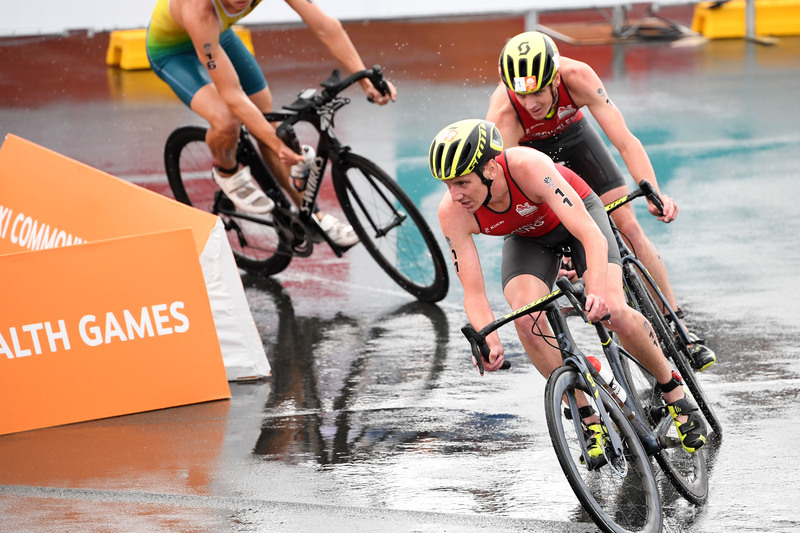 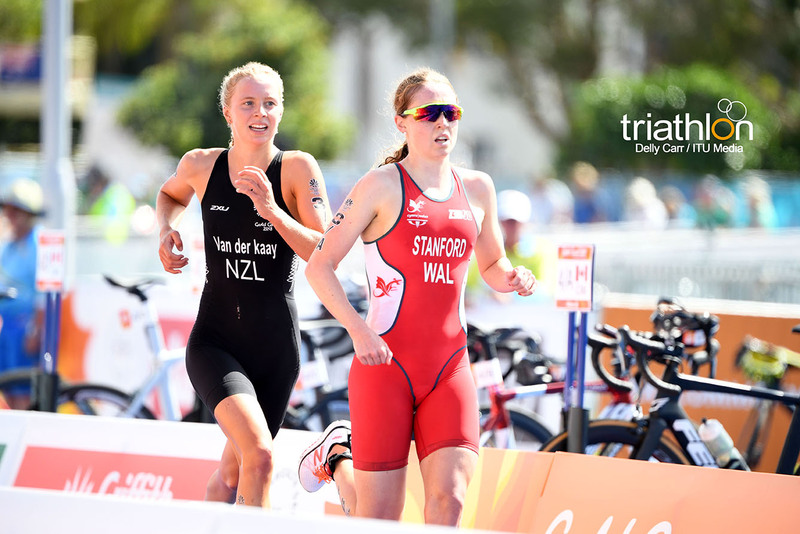 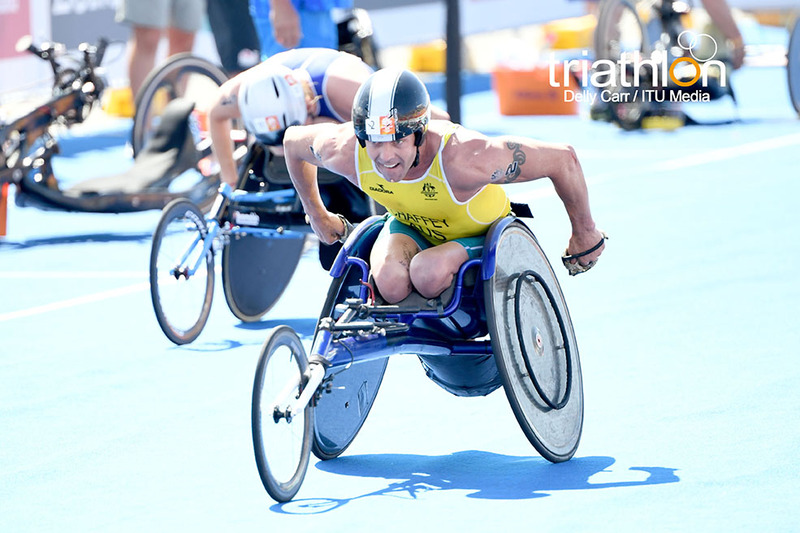 Kiwi hopes will be represented by Ryan Sissons (NZL), who had his best ever season in 2017 with a third place in WTS Hamburg, a fourth in WTS Stockholm and a win in the ITU Madrid World Cup. 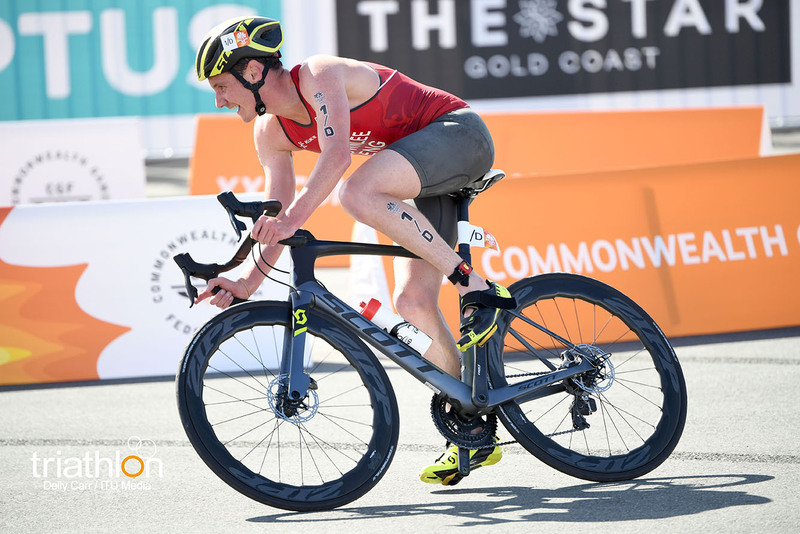 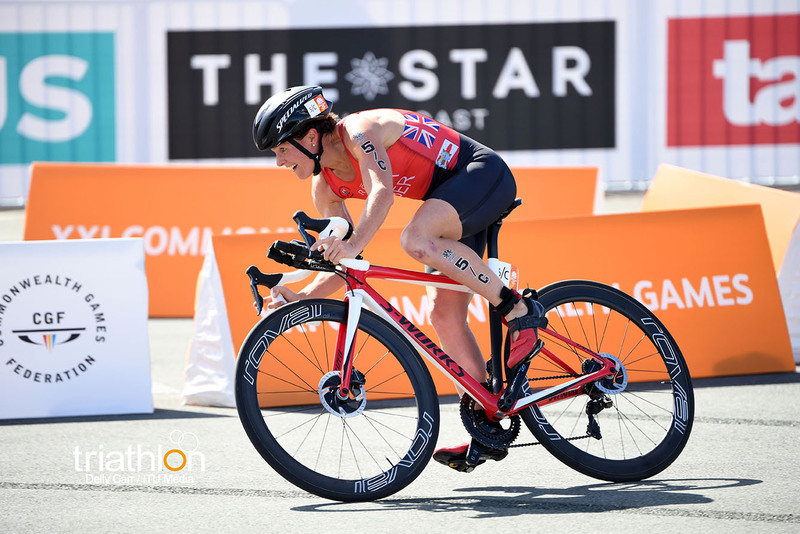 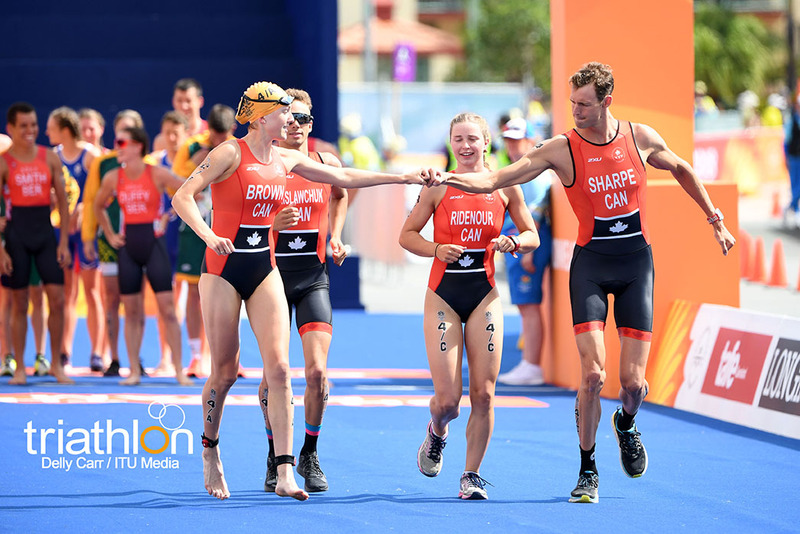 Canadians Tyler Mislawchuk and Matthew Sharpe will surely try to be among the ones to watch, especially Mislawchuk, who has had an strong beginning of the season, finishing 4yh in New Plymouth World Cup, 8th in Mooloolaba and 11th in WTS Abu Dhabi. 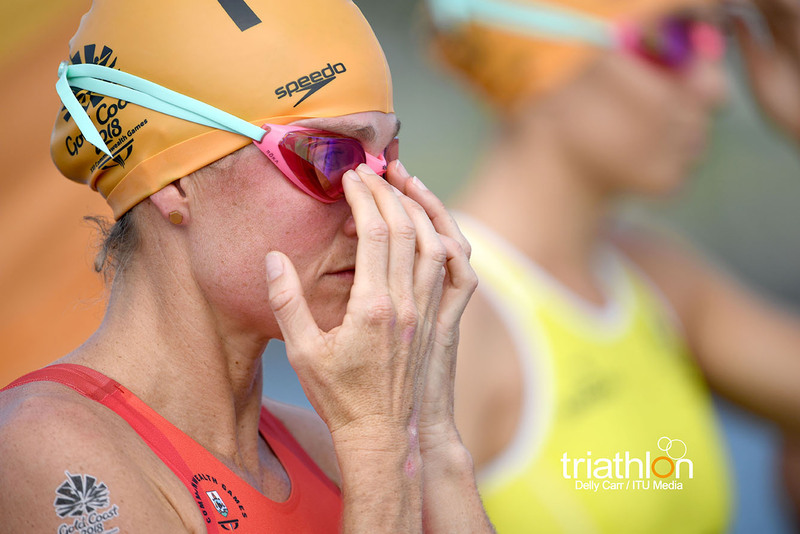 And most of all, don’t count out the “third ones”. 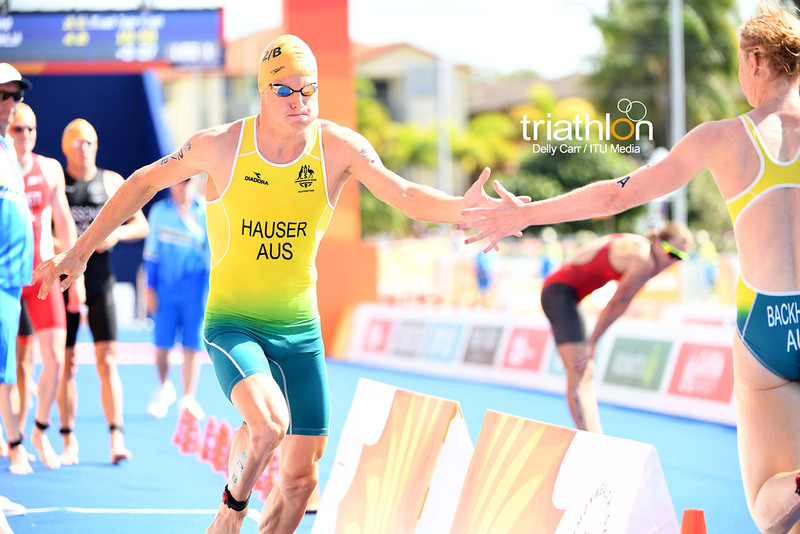 Tom Bishop (ENG), Wian Sullwand (RSA) or Matt Hausser (AUS) can definitely finish up high. 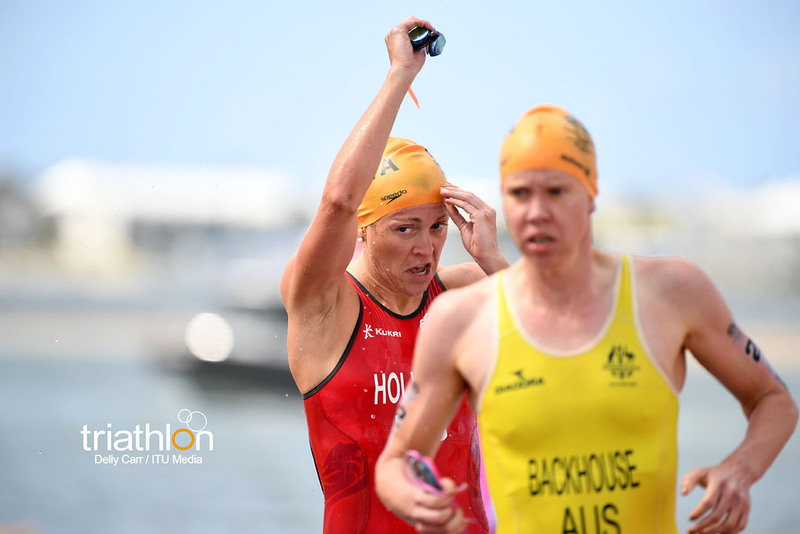 Run – 5km run leg consisting of two 2.5km laps of a flat and fast course between Southport and Labrador.